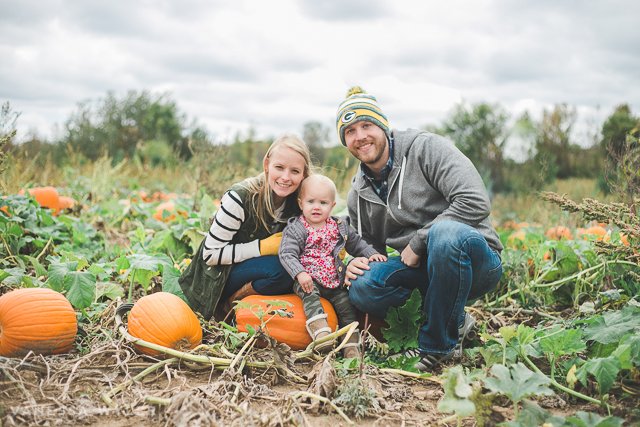 Drew – He’d describe his year filled with intense, fast paced projects at Milwaukee Tool and lots of homework while he works on getting his masters at Marquette. 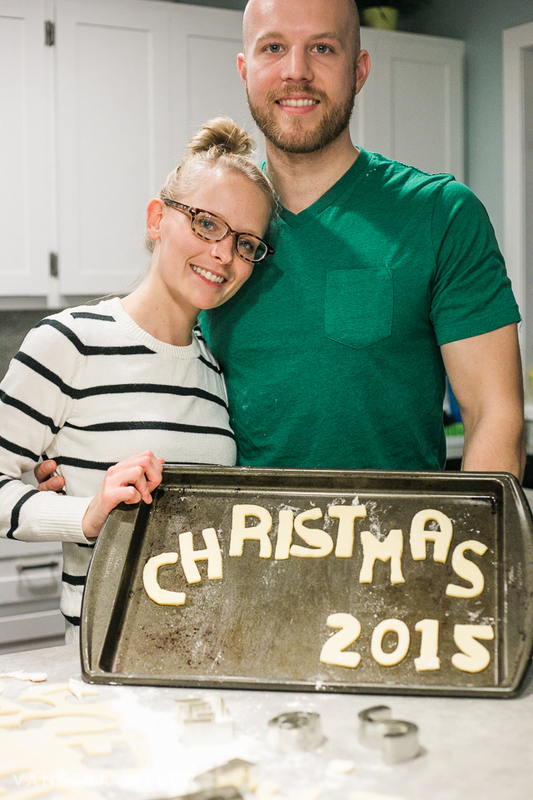 He also traveled to China twice this year, but is always glad to come home! 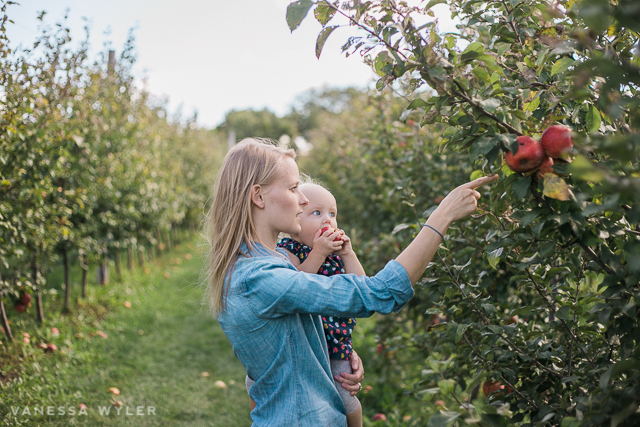 Vanessa – Focused on improving her photography this year and launched her own photography business during the summer. 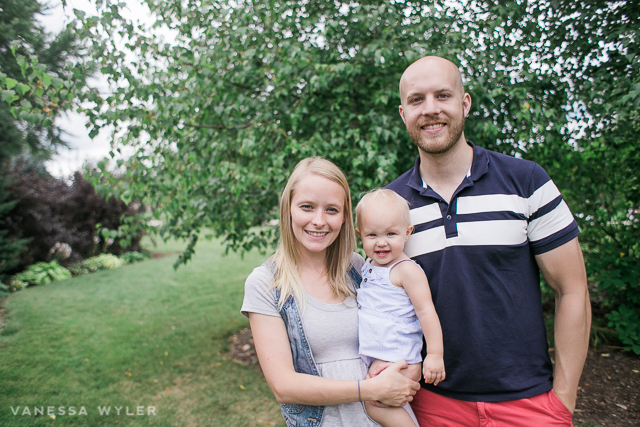 She’s also works part-time as a graphic designer at an e-commerce company. 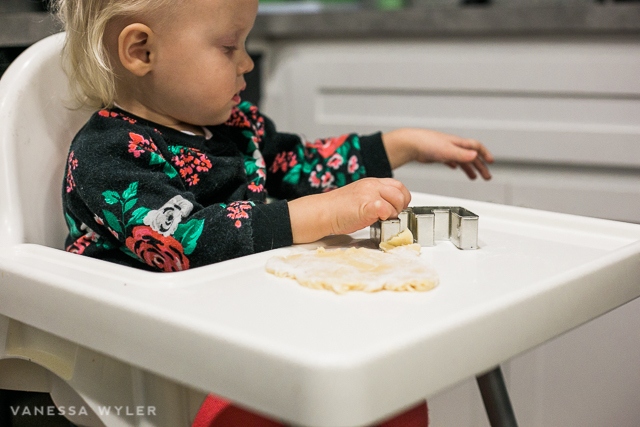 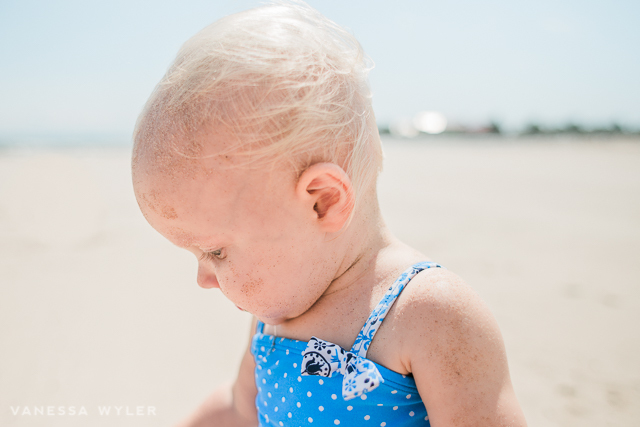 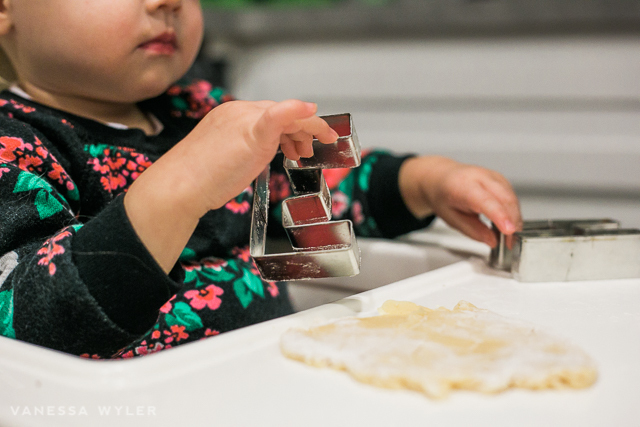 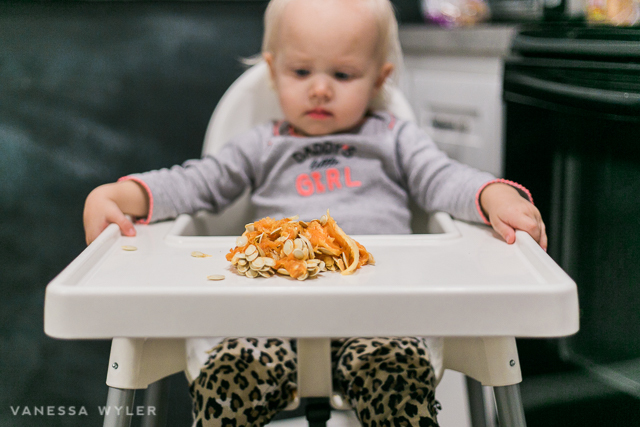 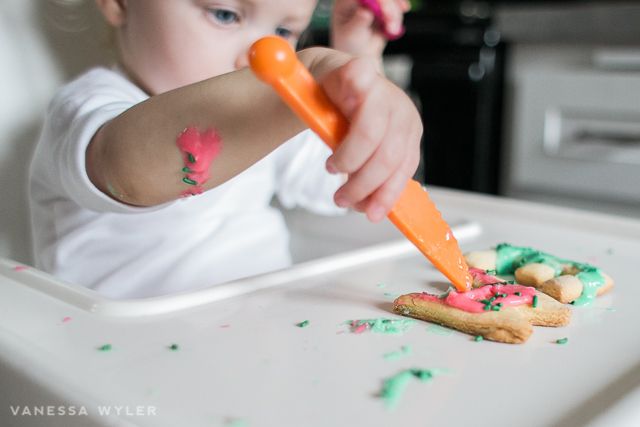 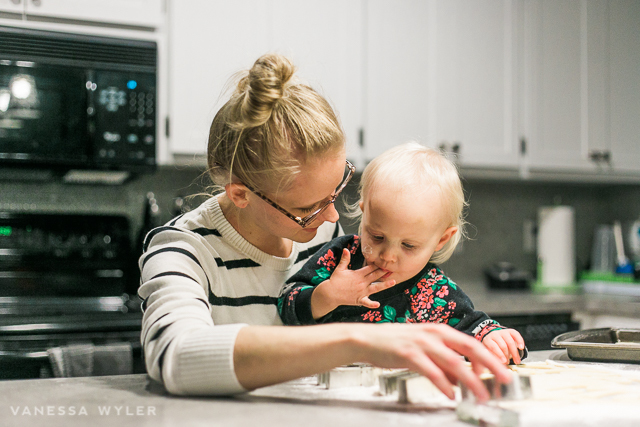 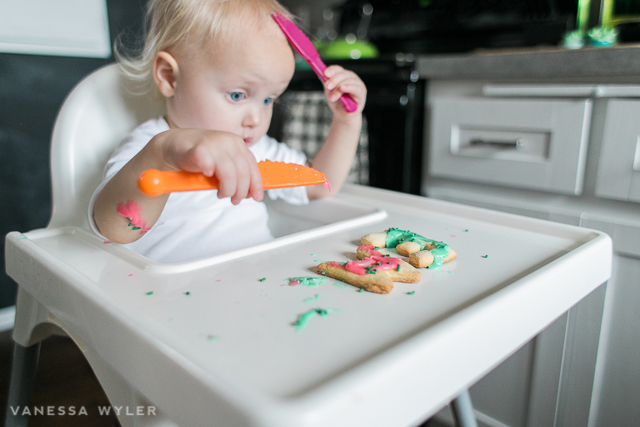 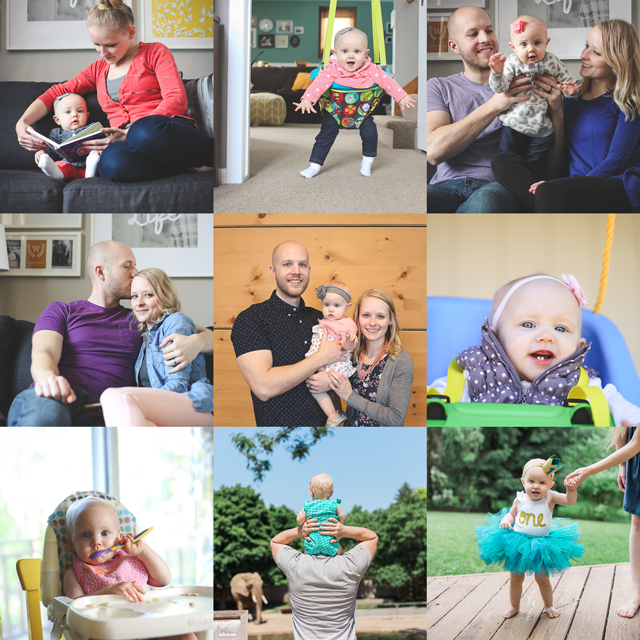 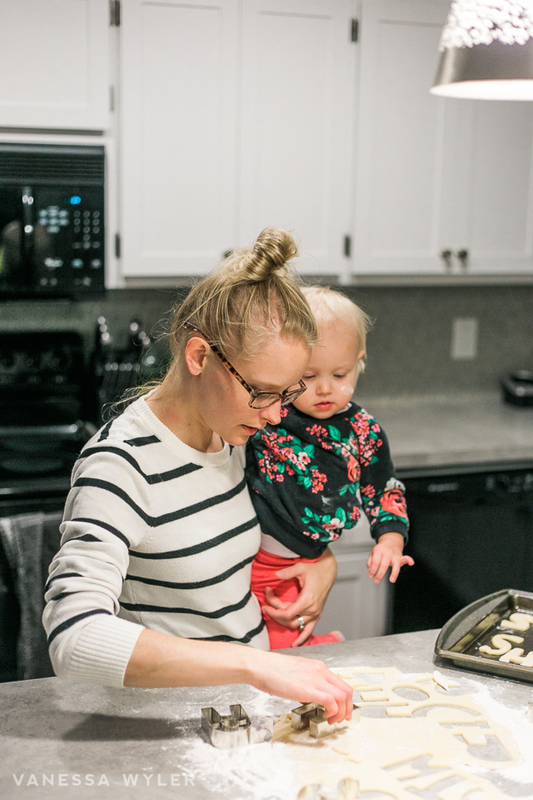 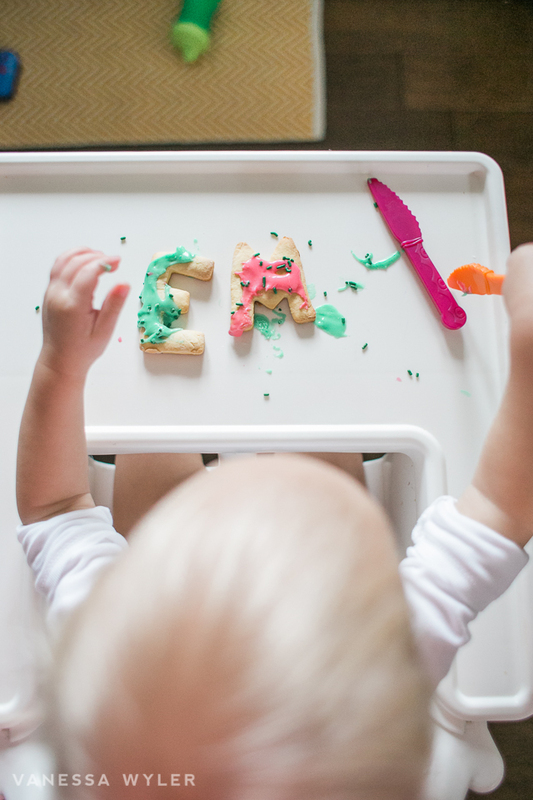 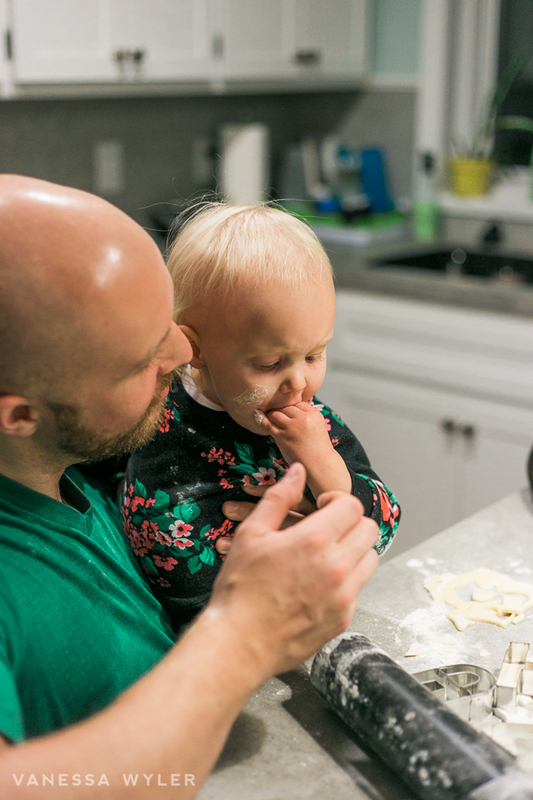 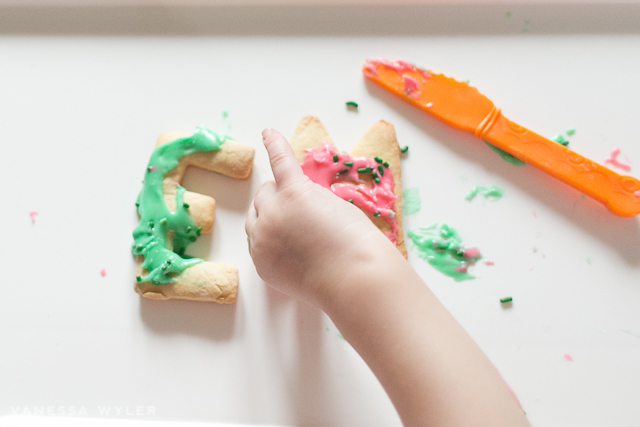 Emerald – She learned to eat real food, crawl, walk, talk and well has turned into a little human and is no longer quite a baby. 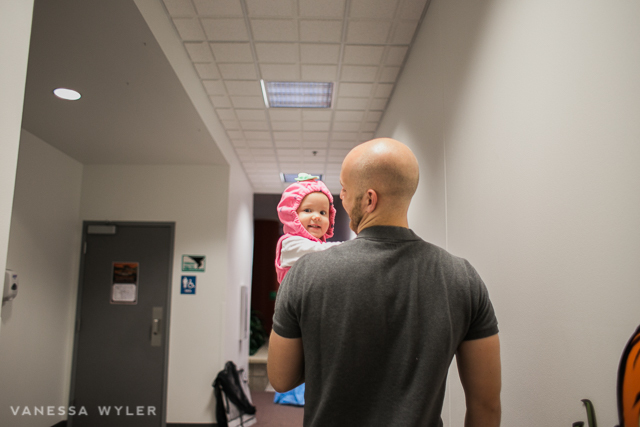 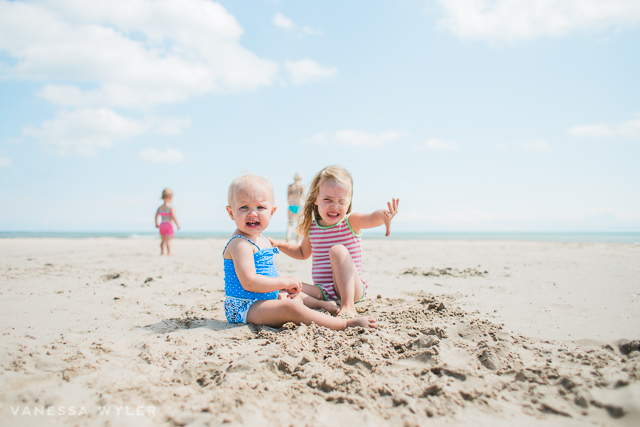 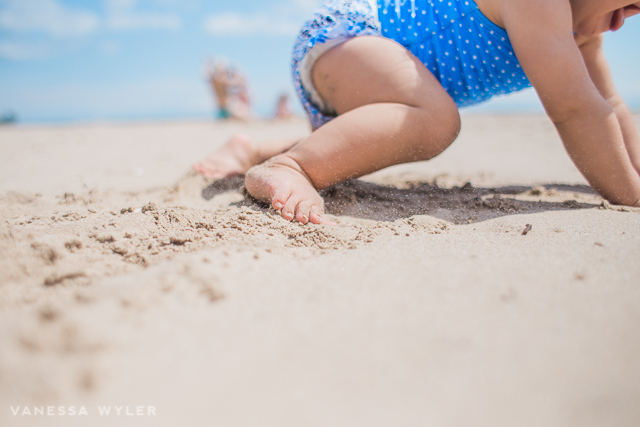 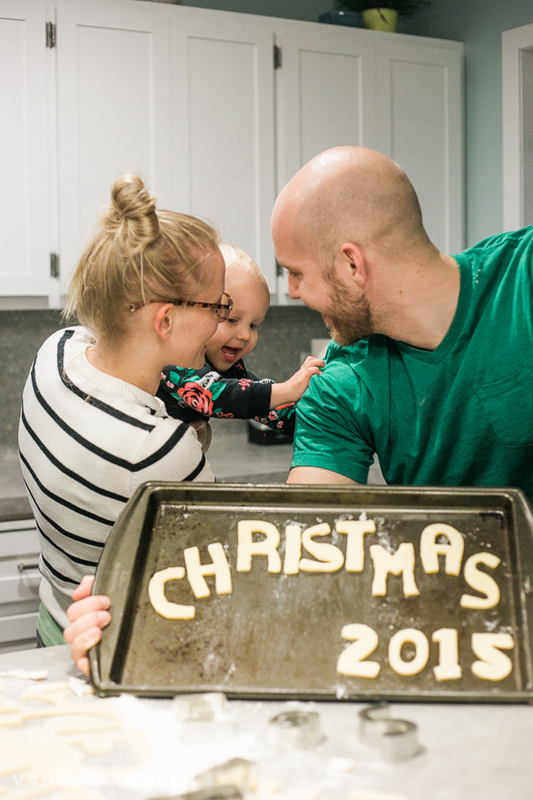 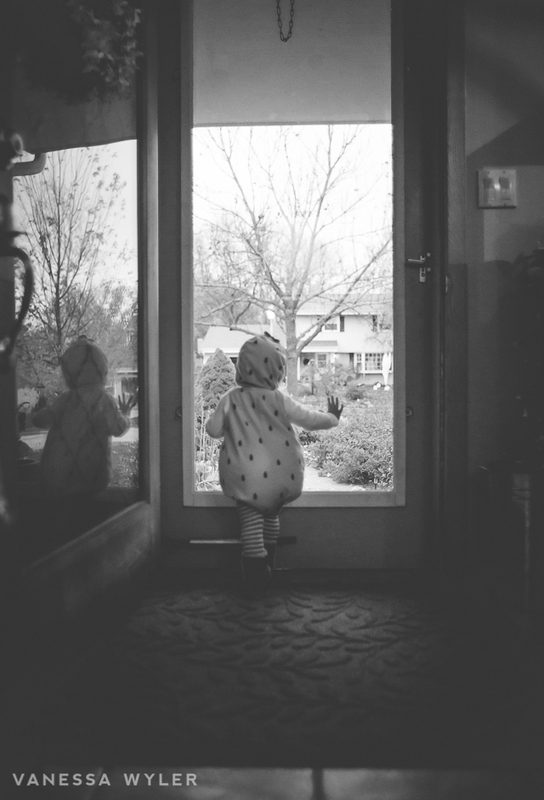 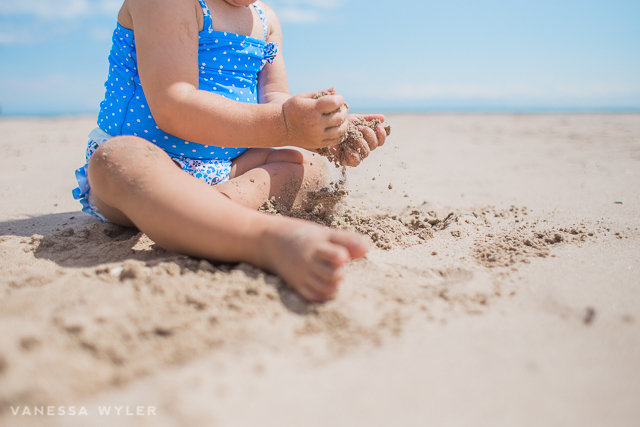 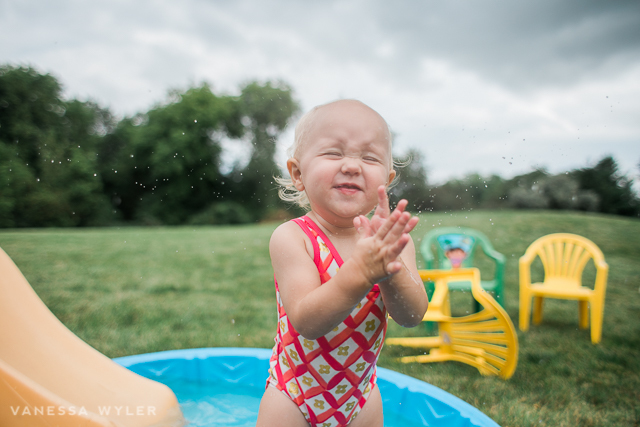 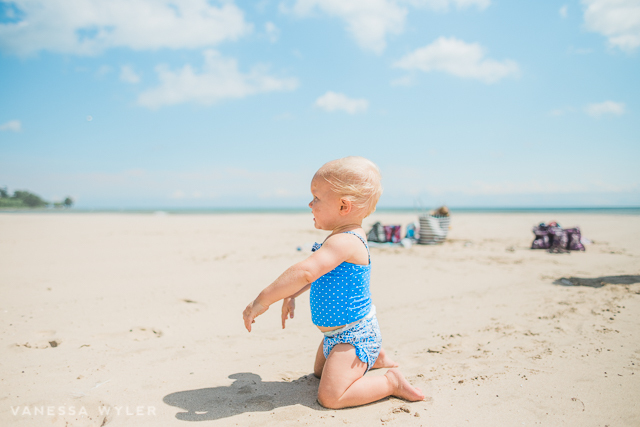 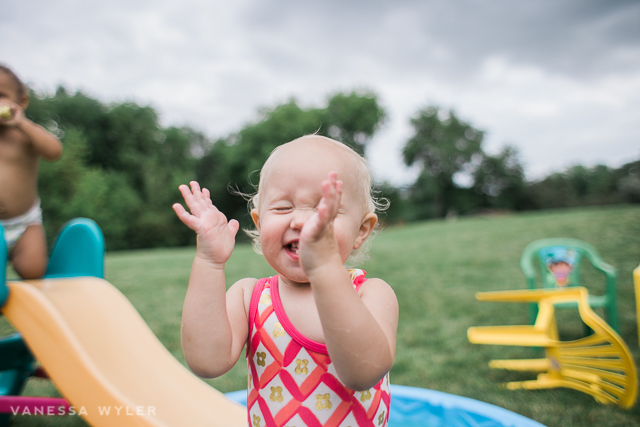 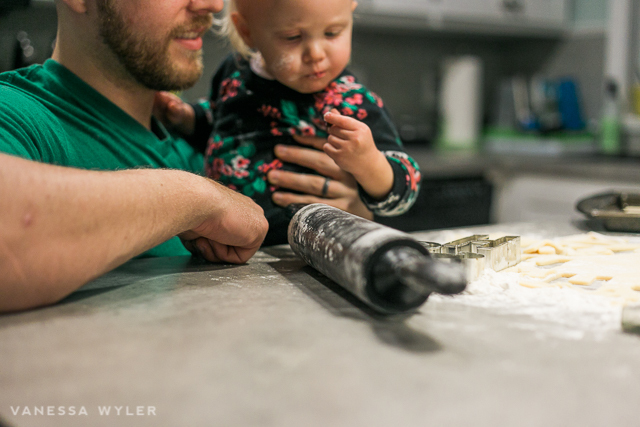 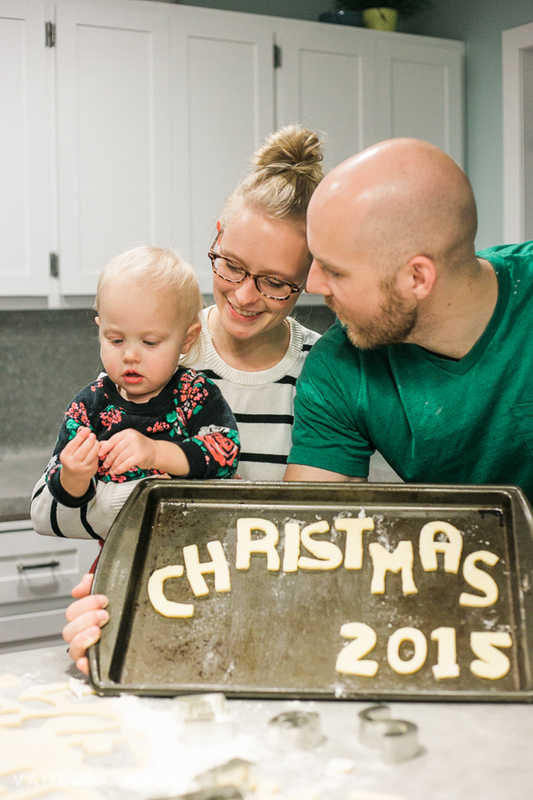 She keeps us on our toes, but are so thankful for how much joy and laughter and craziness she brings to our home. 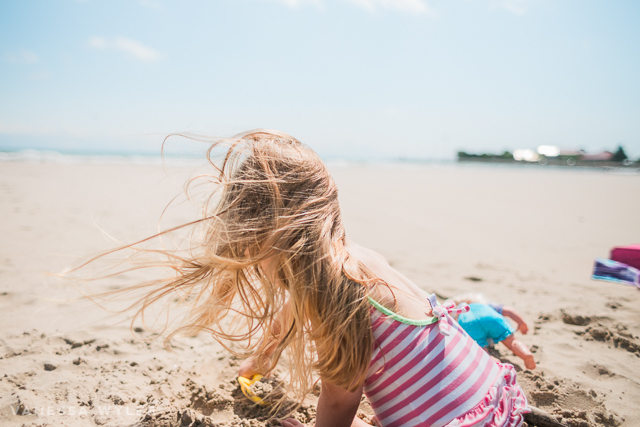 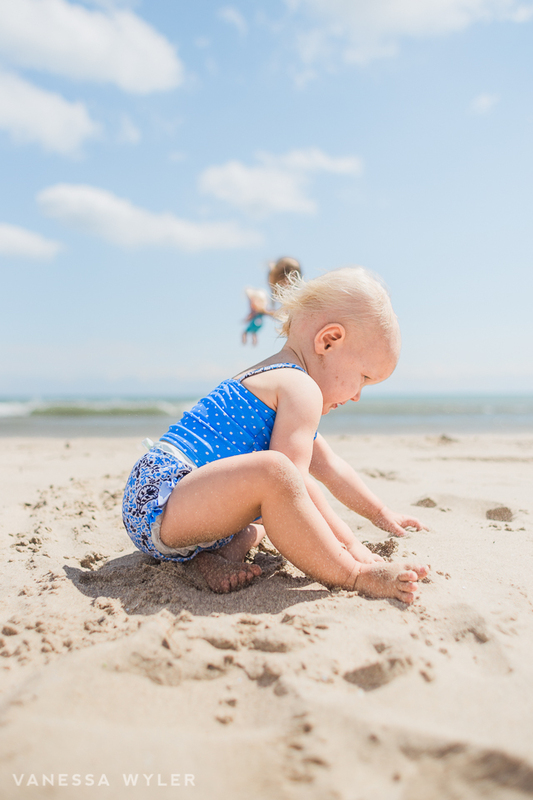 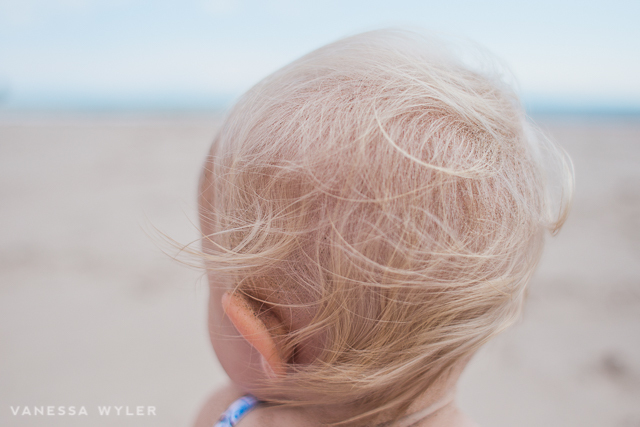 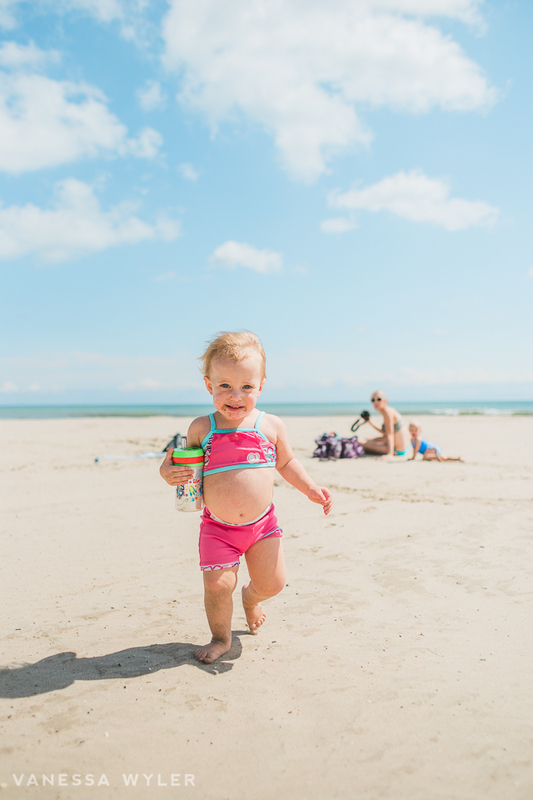 Some of her favorite things this year were: the beach, walks, swings, splashing water, bubble guppies and trying to take ornaments off the tree. 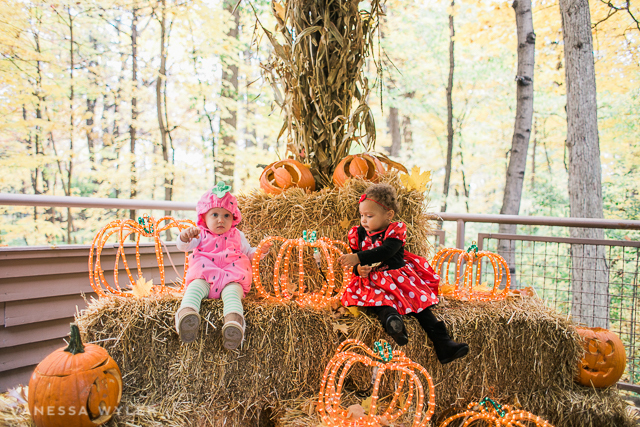 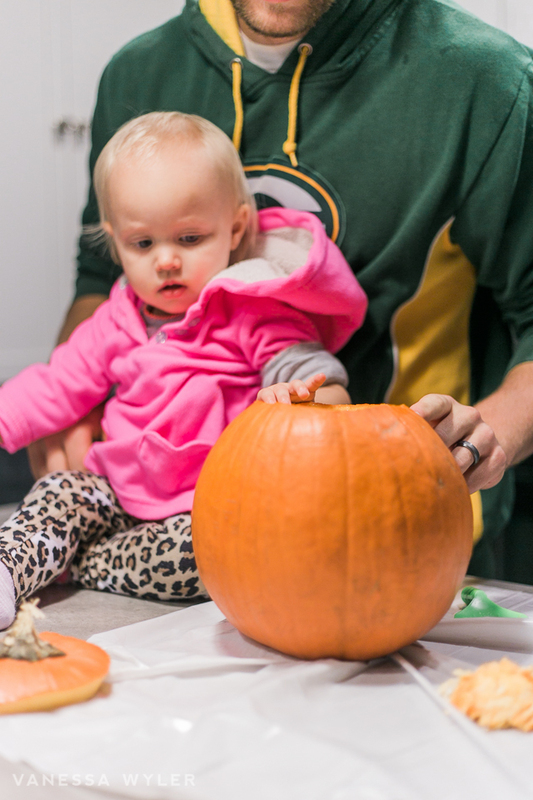 Our fall fun list included: going to a pumpkin farm (check), carving pumpkins (check), and now trick or treating (check x 3). 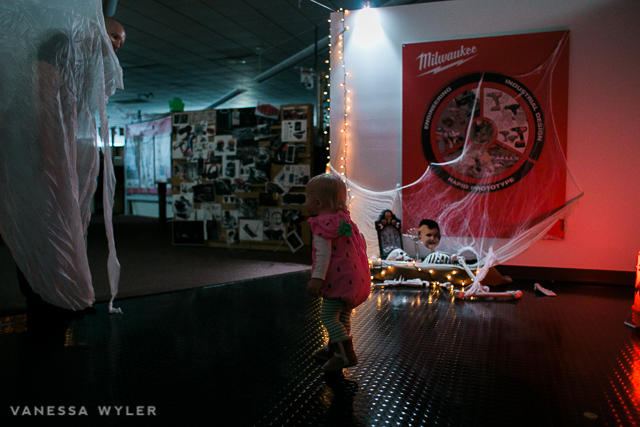 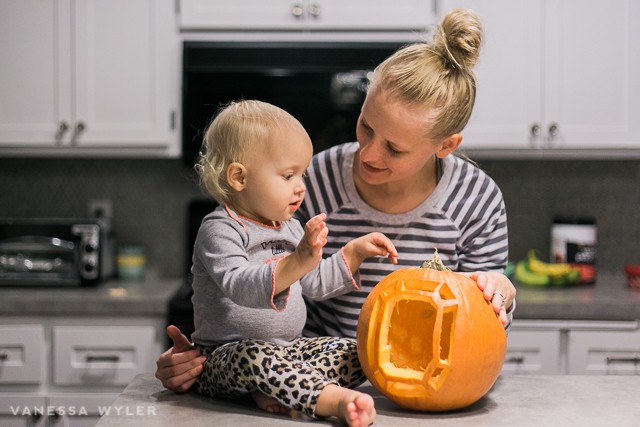 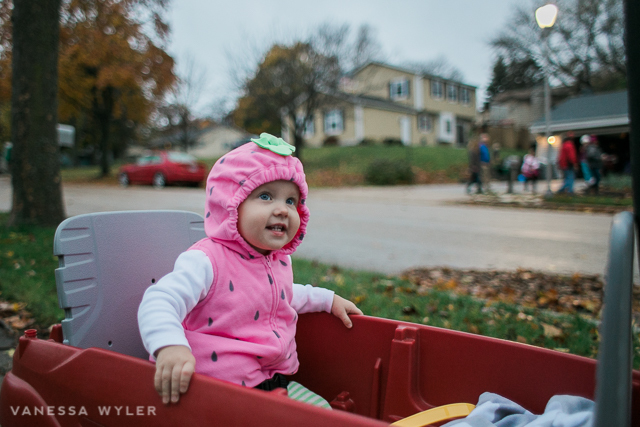 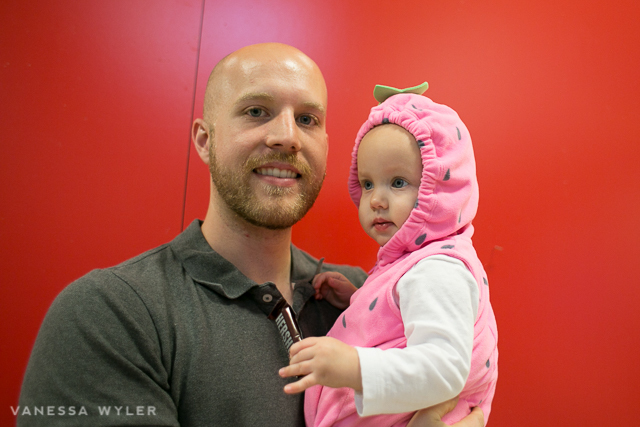 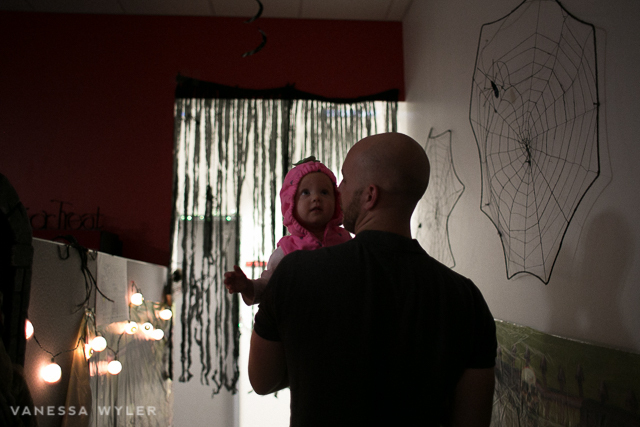 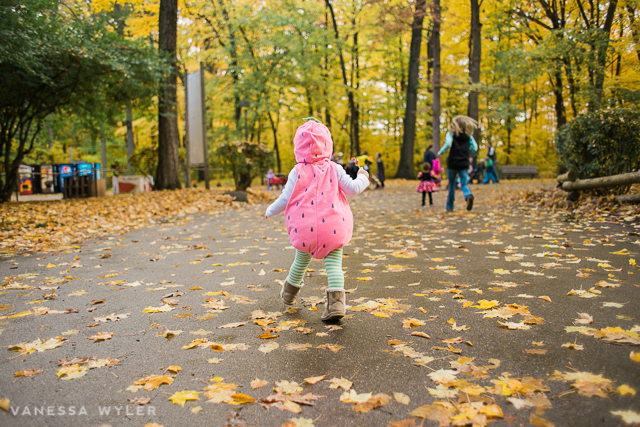 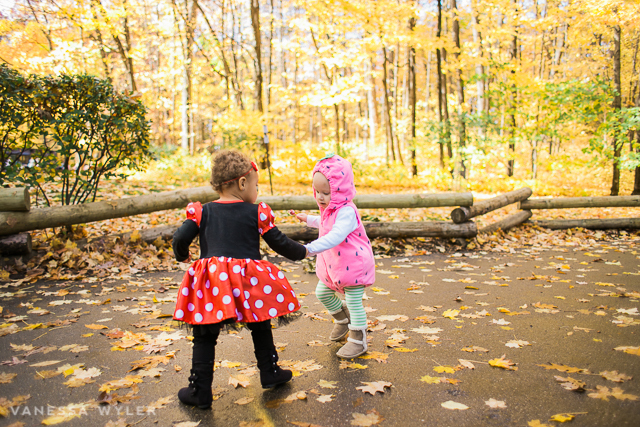 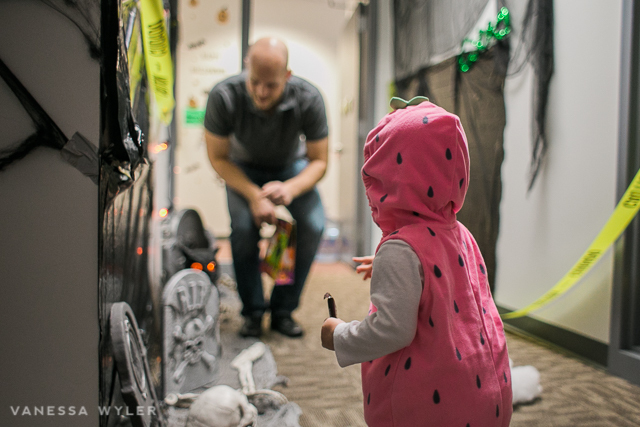 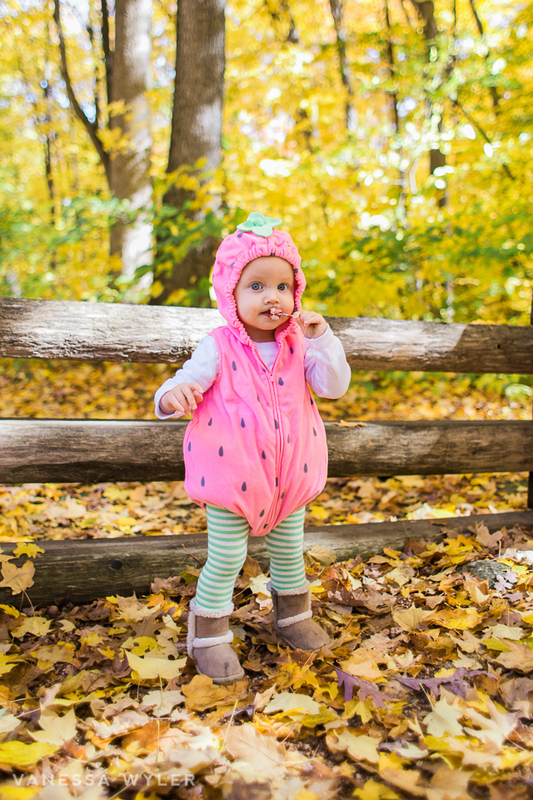 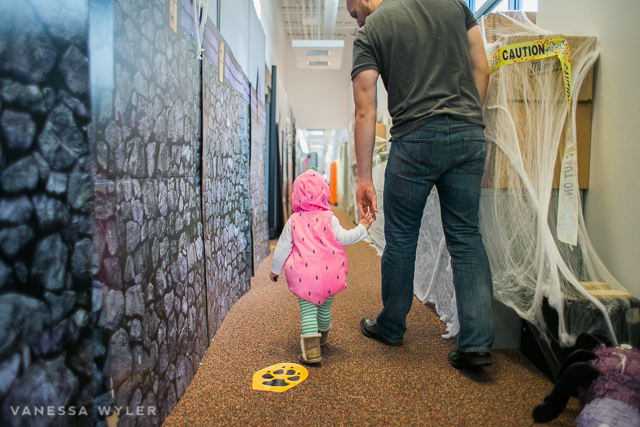 We went trick or treating three times this year actually – once at the zoo, once at Daddy’s work and another time in our neighborhood, just real quick up and down the court we live in. 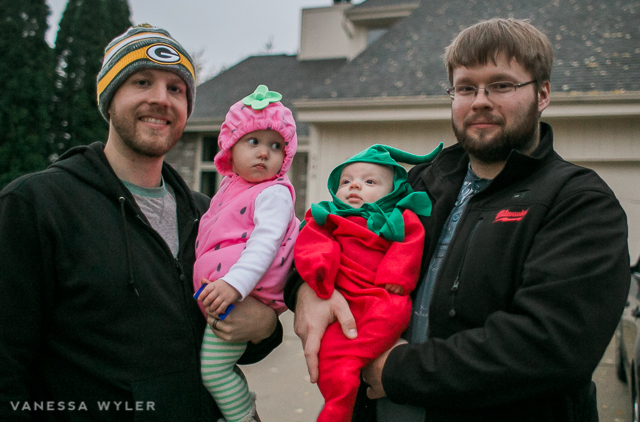 Emerald’s baby friend Amelia even came as a chili pepper, we named them Sweet n’ Spicy. 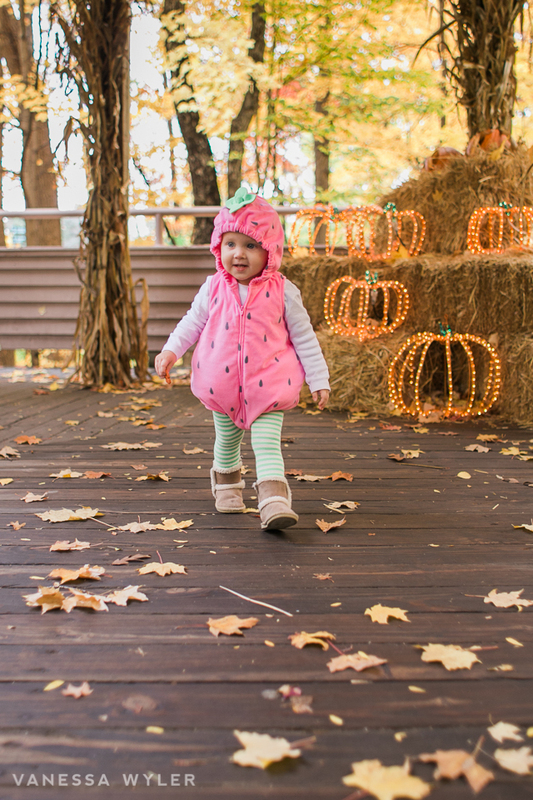 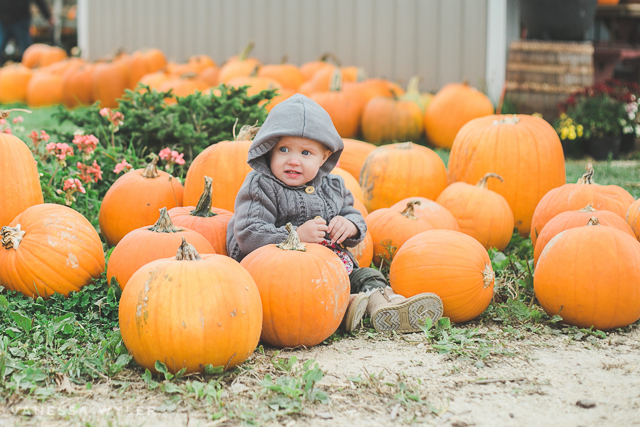 We’re all about doing the cliche October activities such as going to the pumpkin farm, carving pumpkins, and going trick or treating. 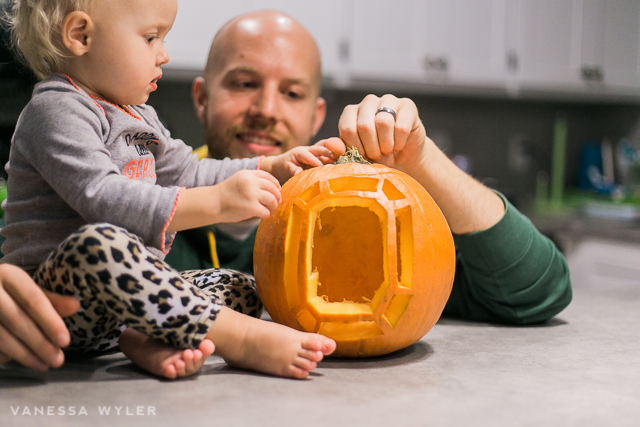 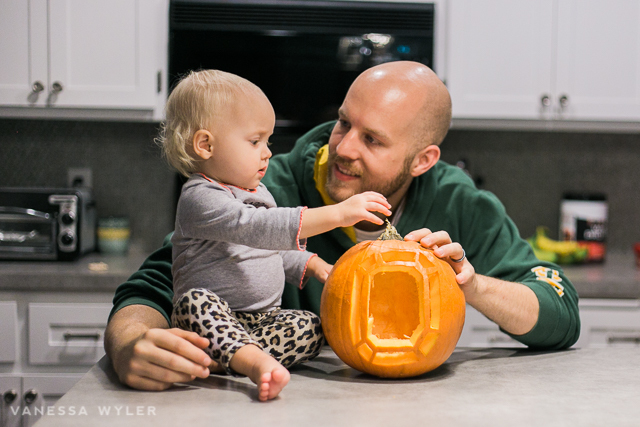 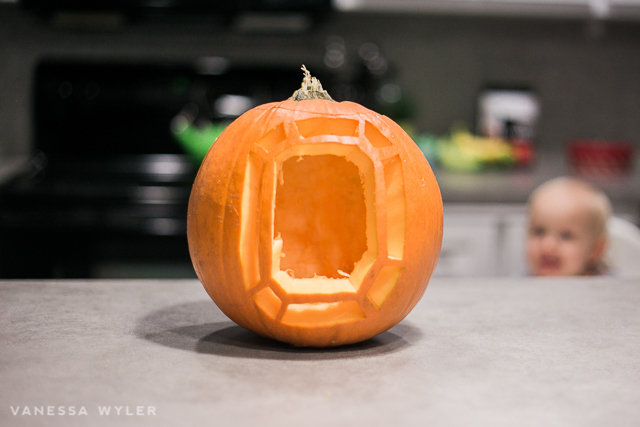 Daddy did a great job carving Em’s pumpkin with an emerald jewel. 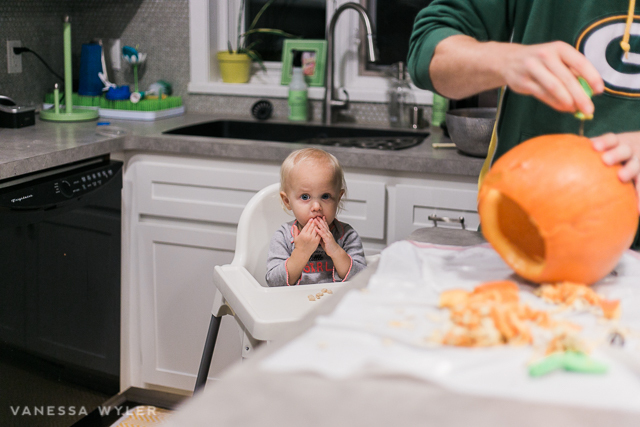 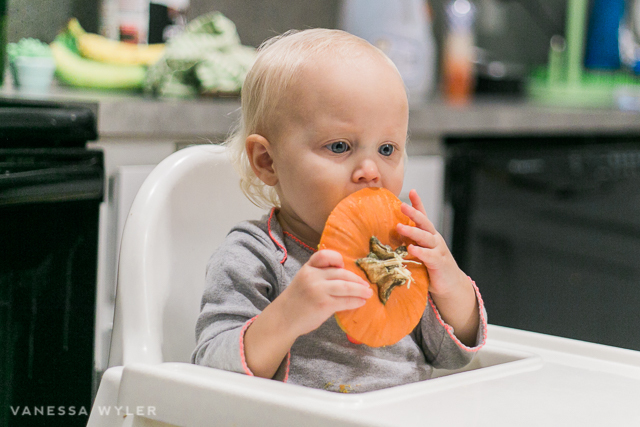 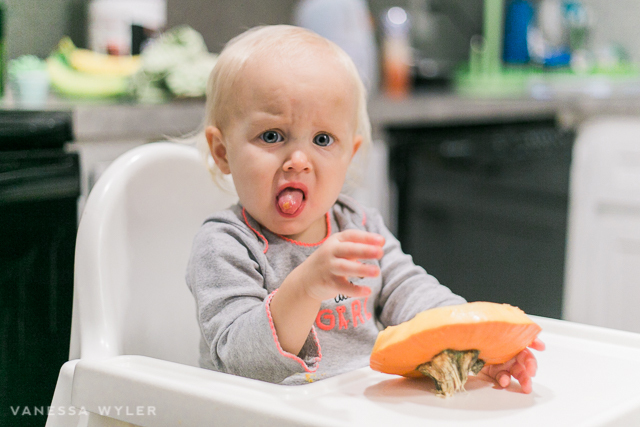 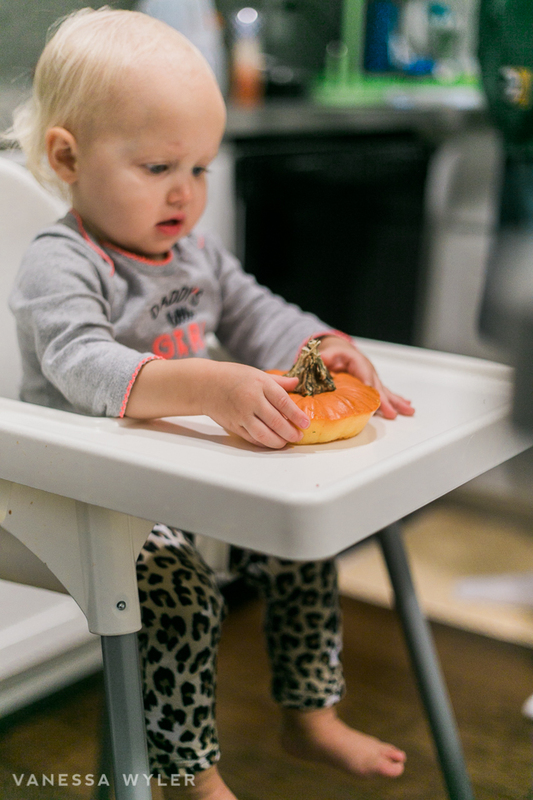 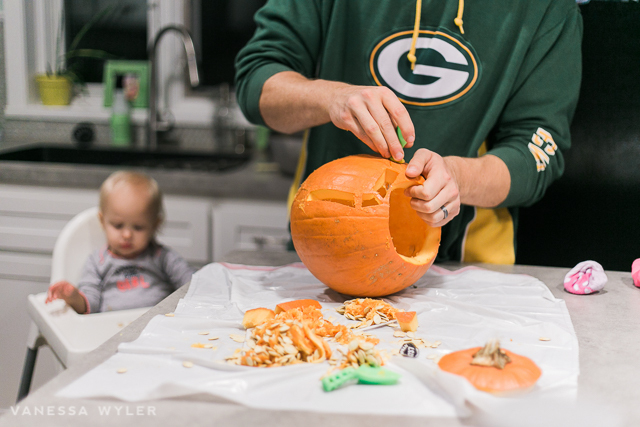 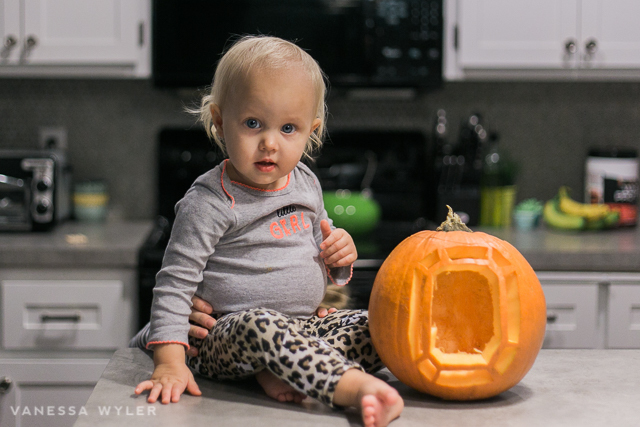 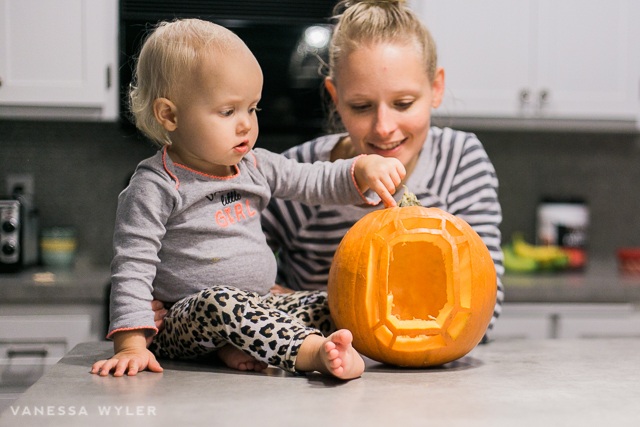 She wasn’t sure what was all going on as she watched, she thought you were supposed to eat the pumpkin, silly girl! 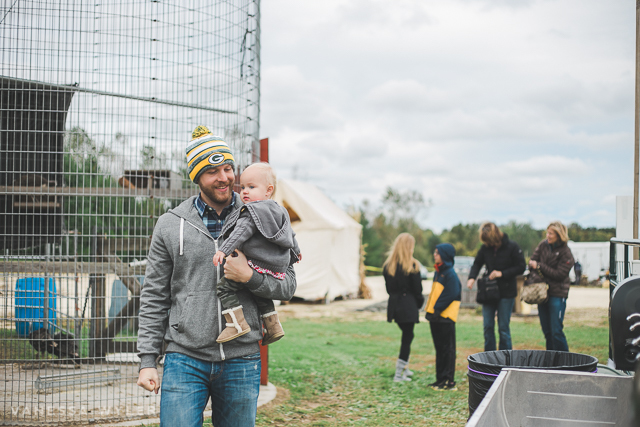 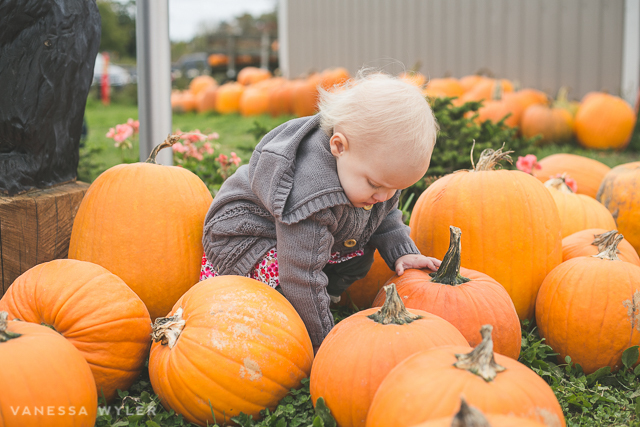 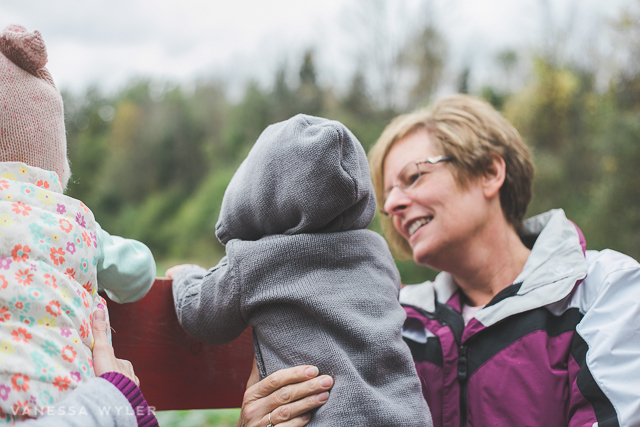 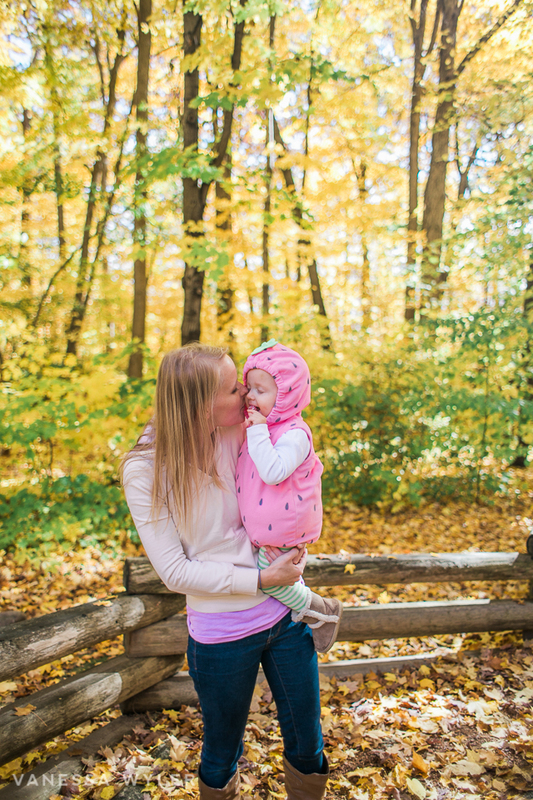 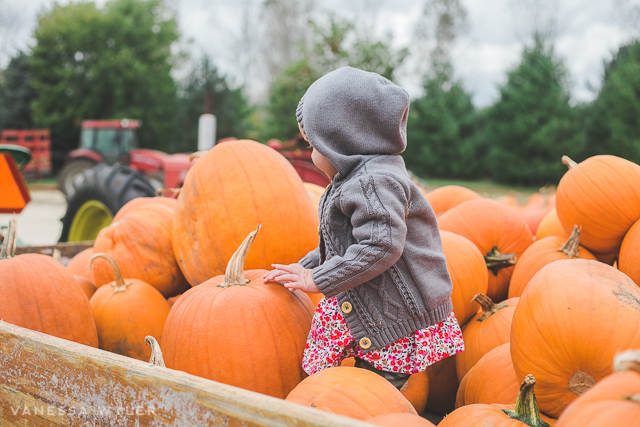 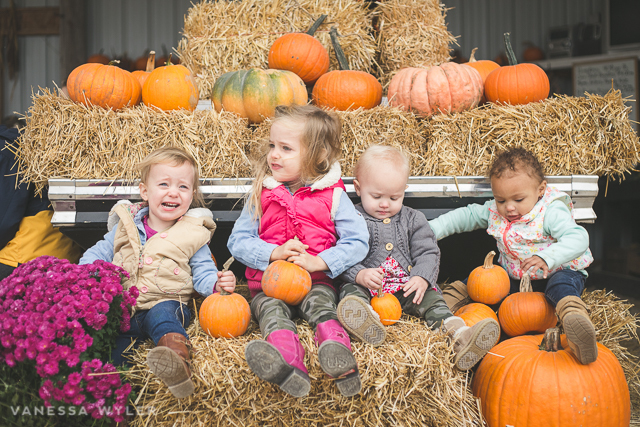 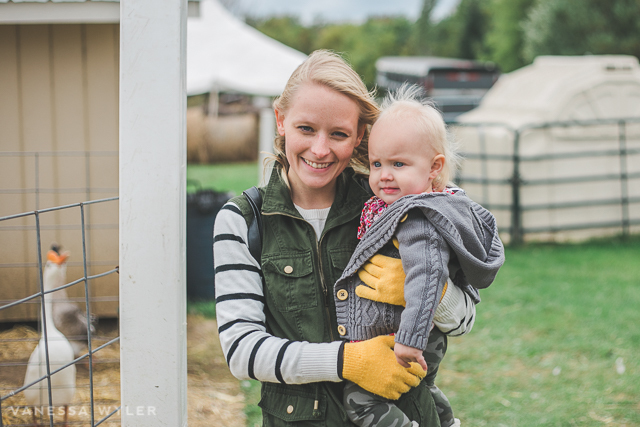 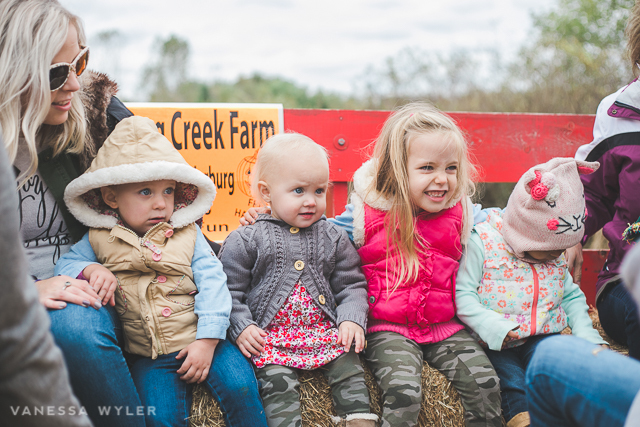 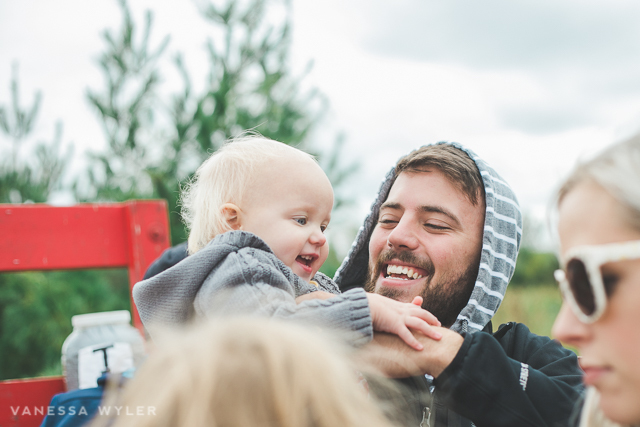 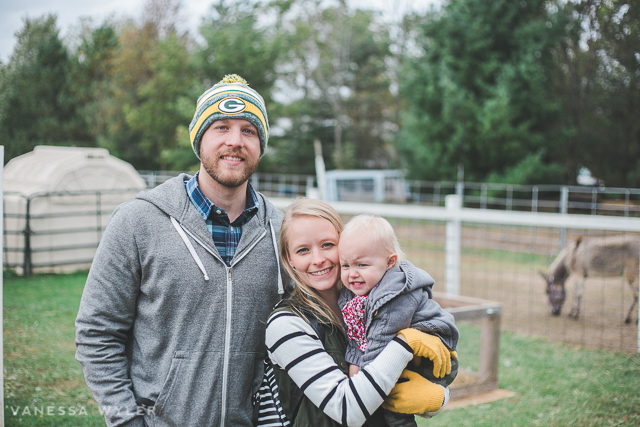 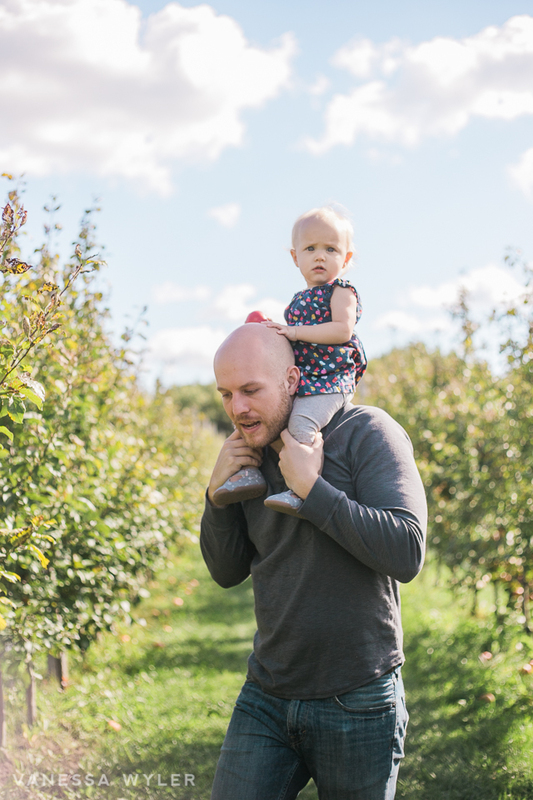 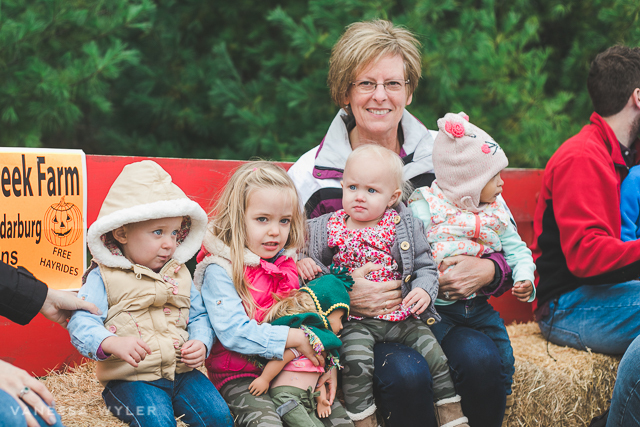 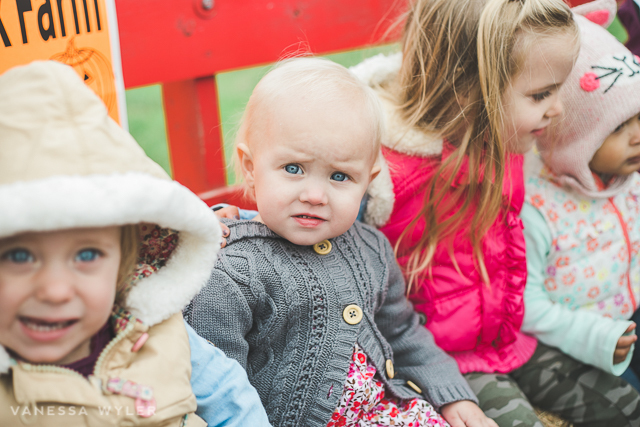 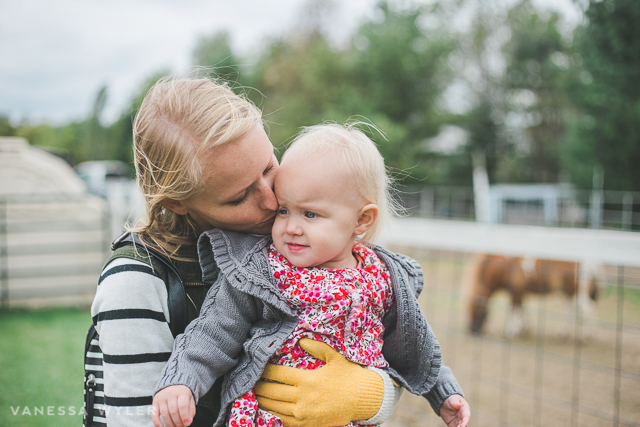 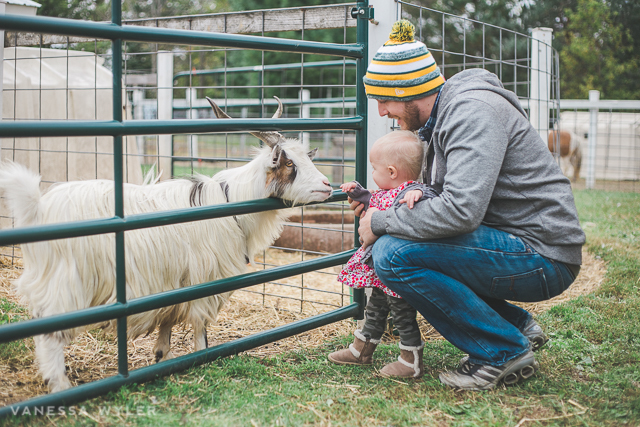 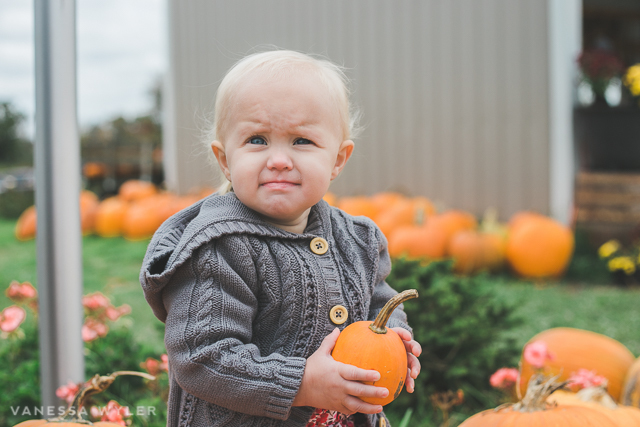 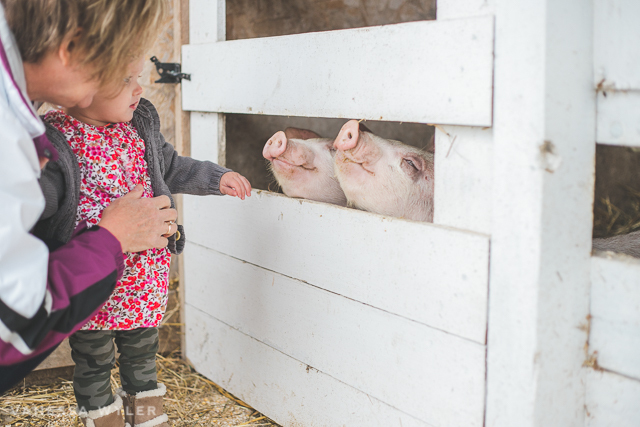 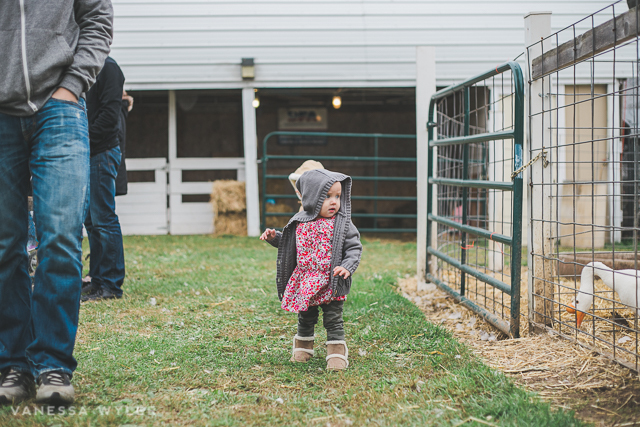 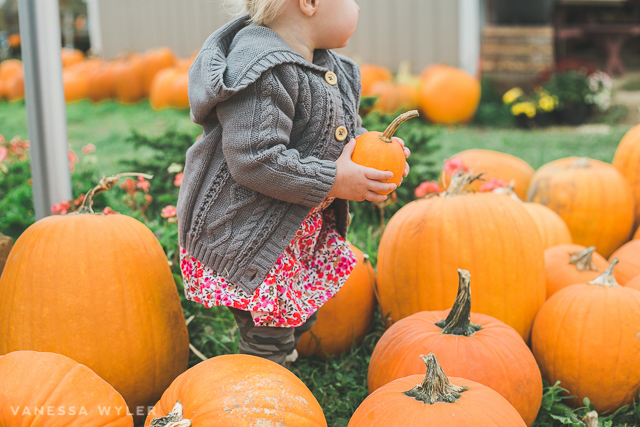 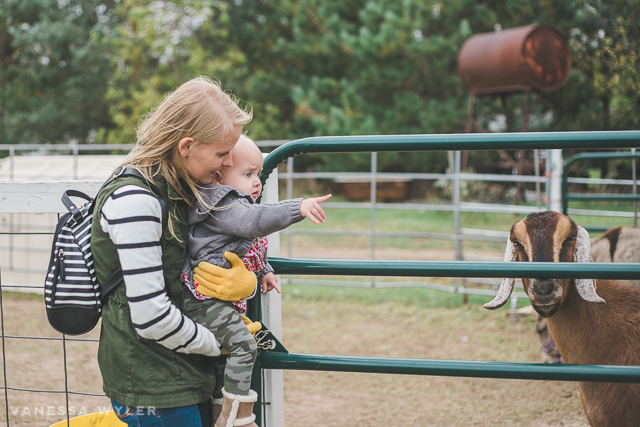 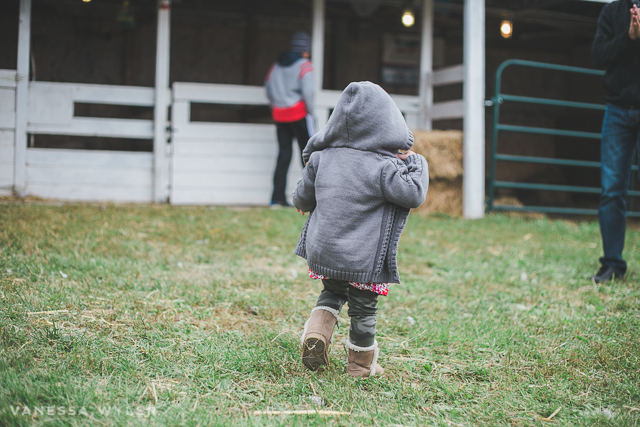 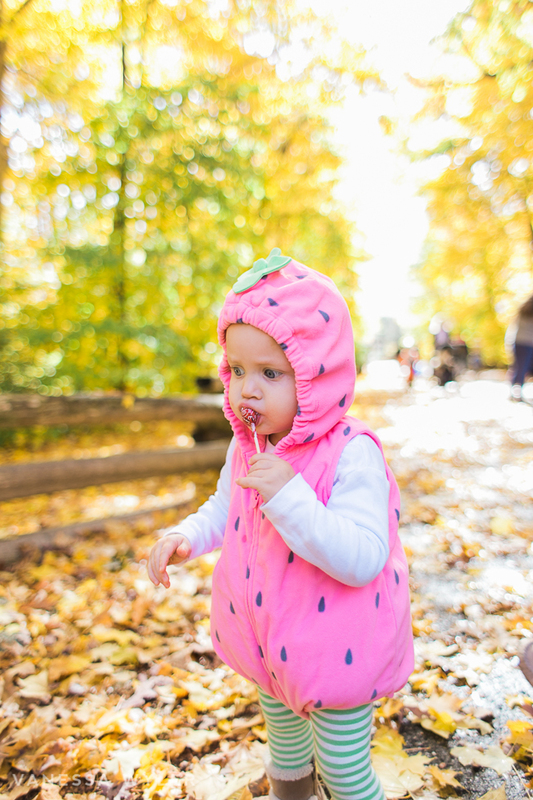 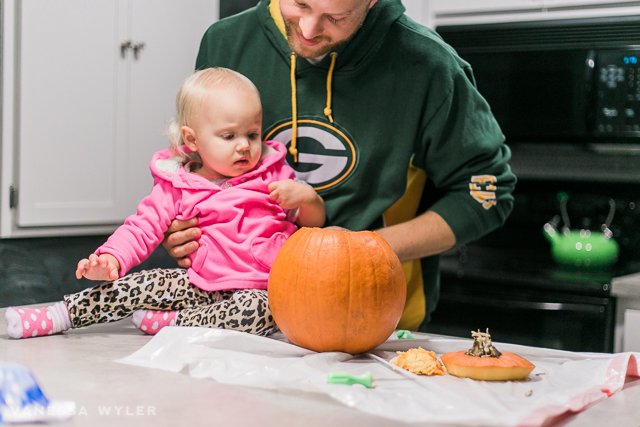 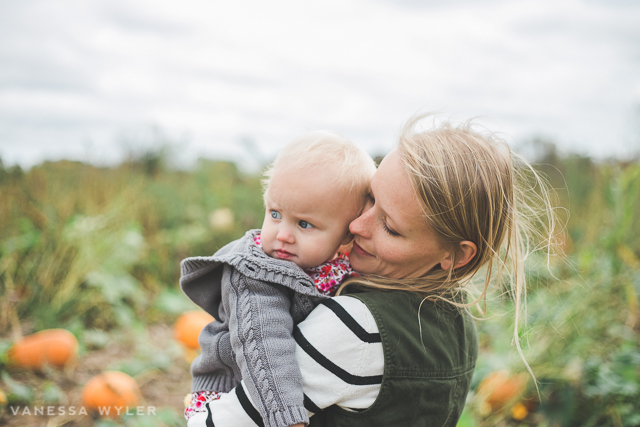 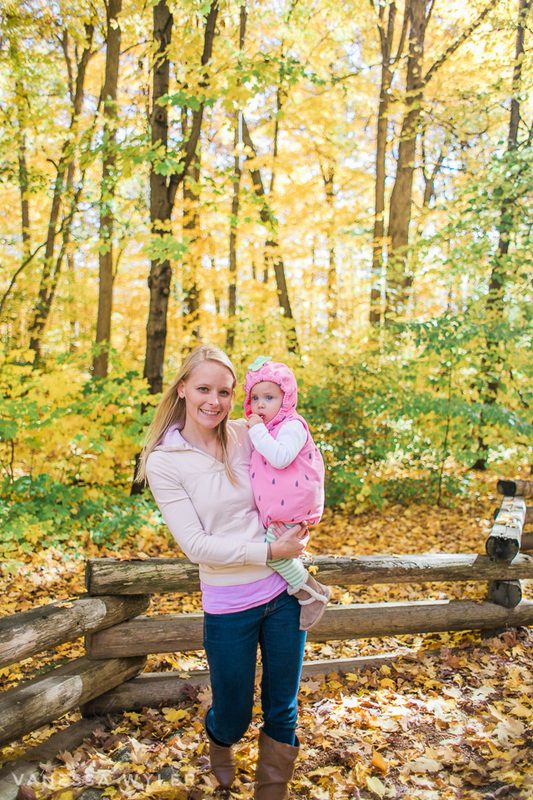 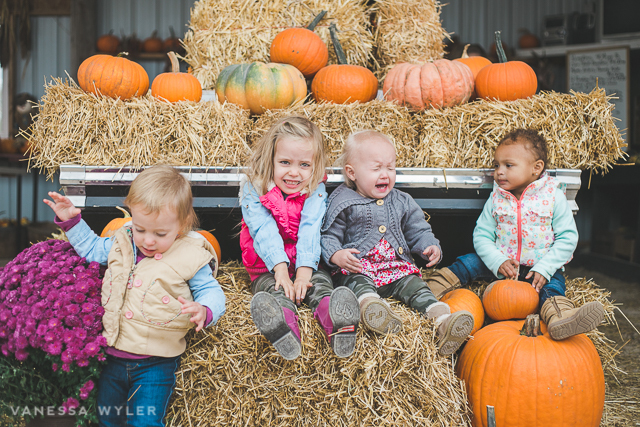 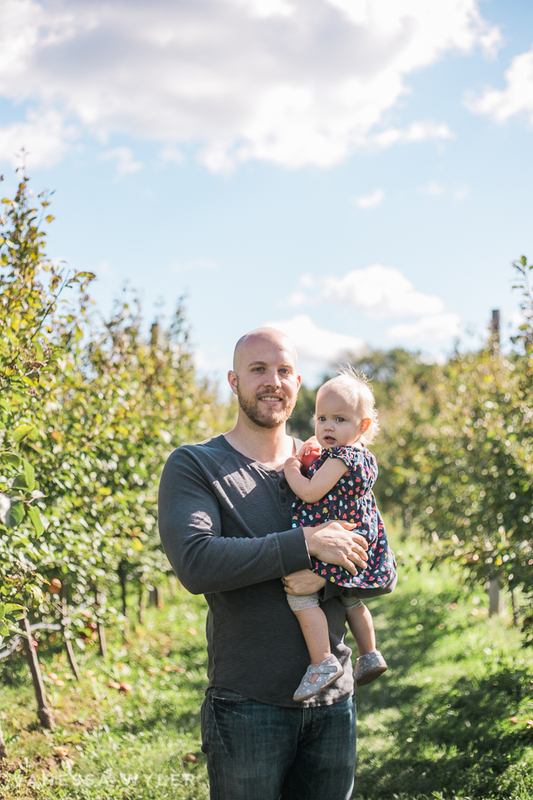 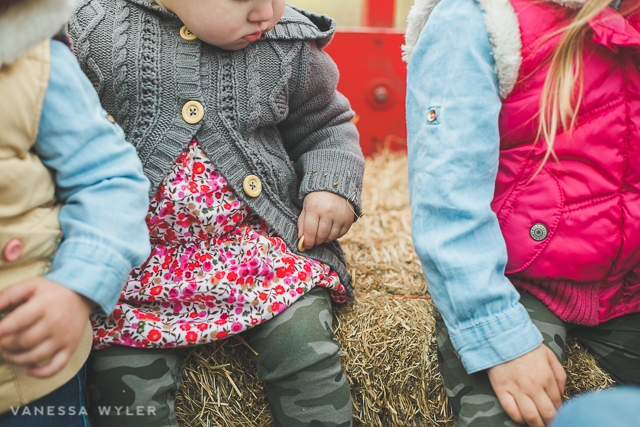 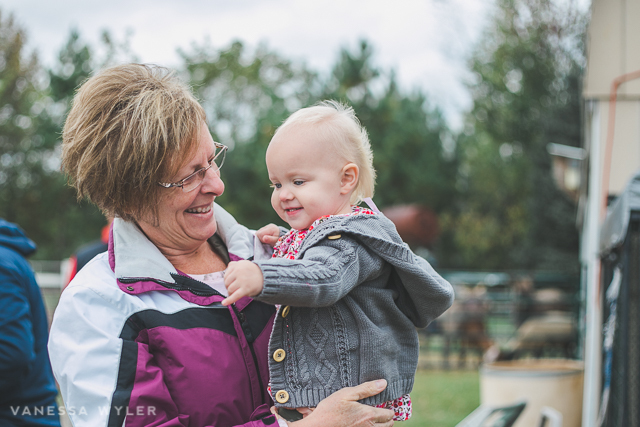 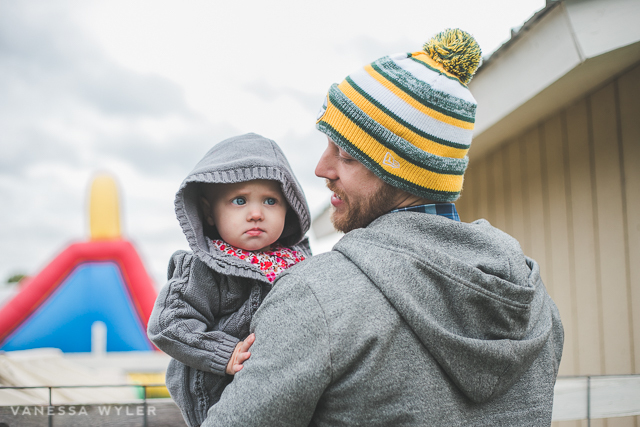 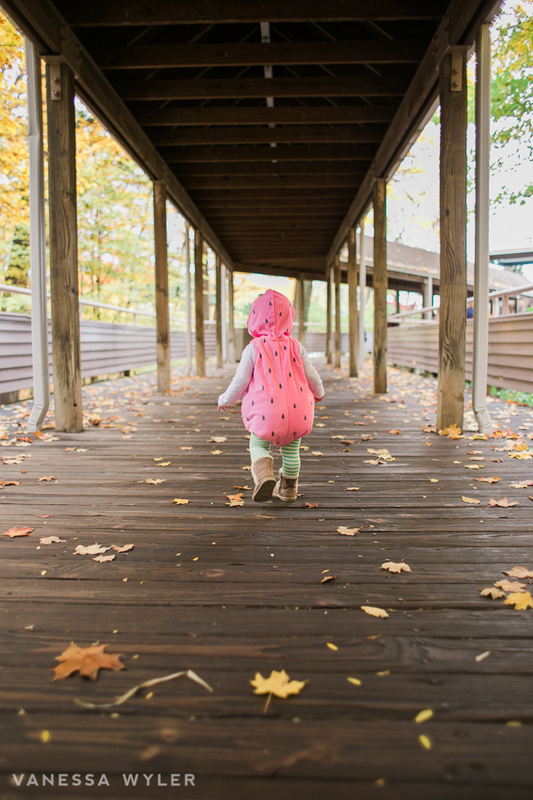 We’ve made it a tradition to head out to the pumpkin patch each fall, last year we visited Cedarburg Creek Farms and went back this year since it was so much fun last time. 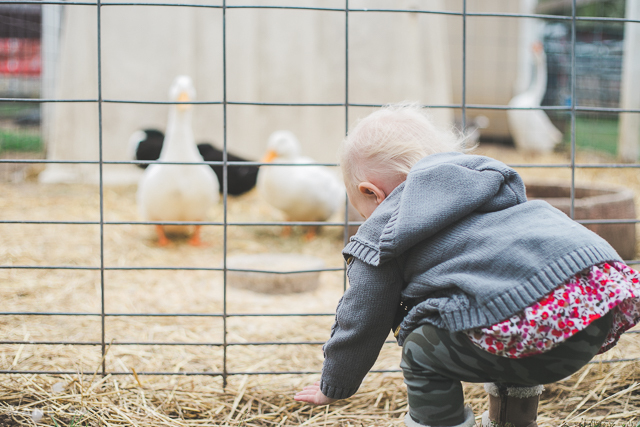 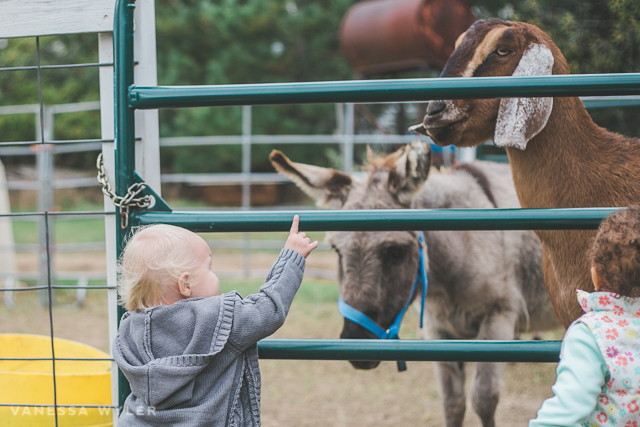 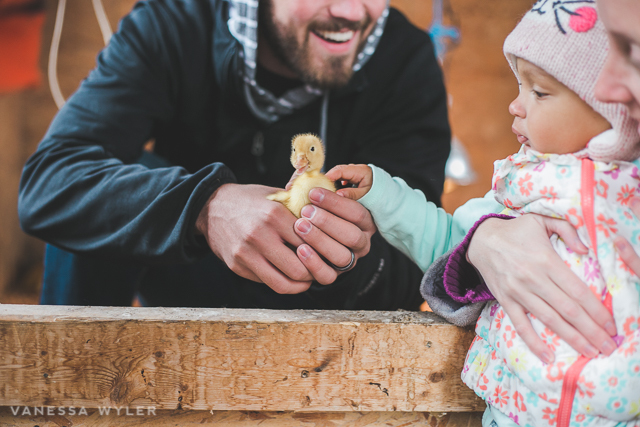 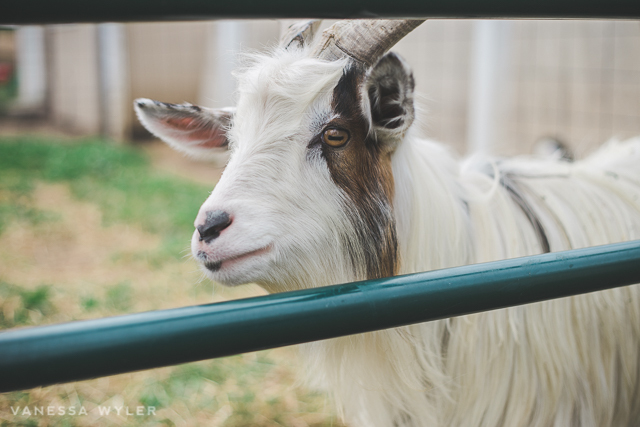 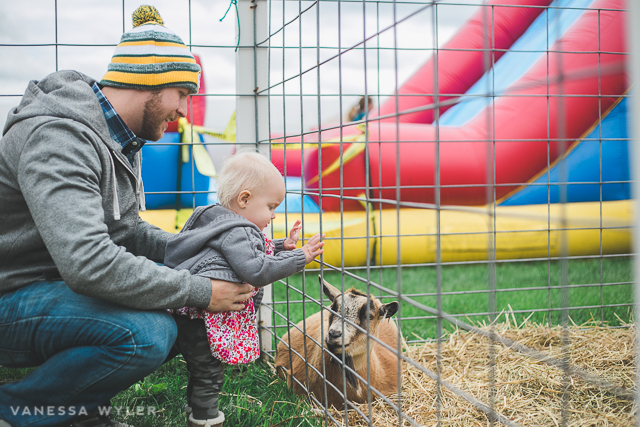 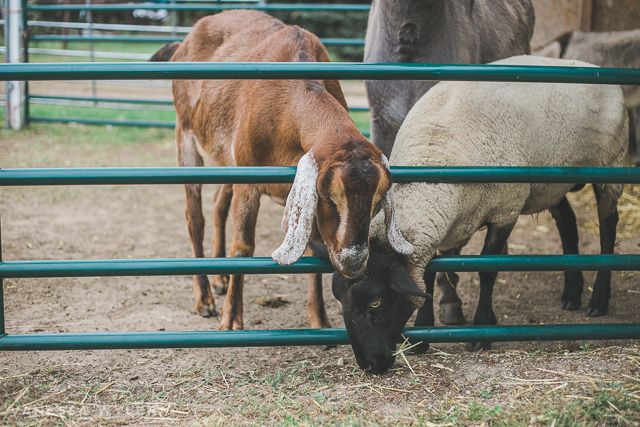 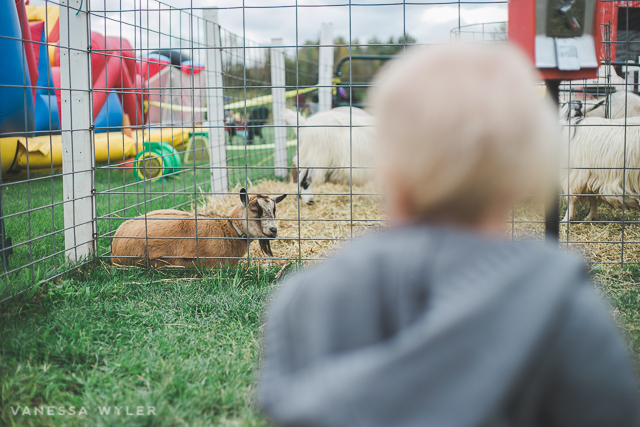 They have farm animals, bouncy houses, live music, free hayride, pumpkins and more! 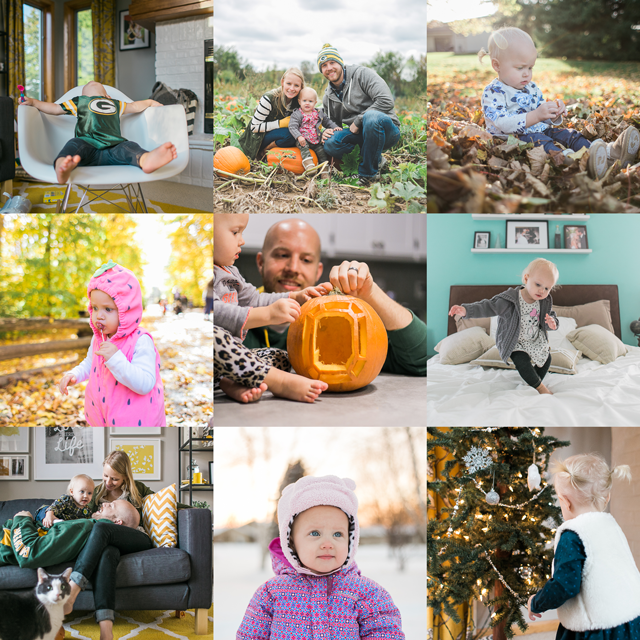 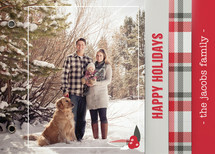 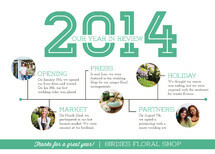 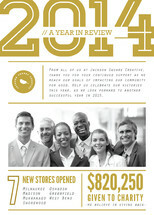 This year was a bit chillier than last, but we still had fun! 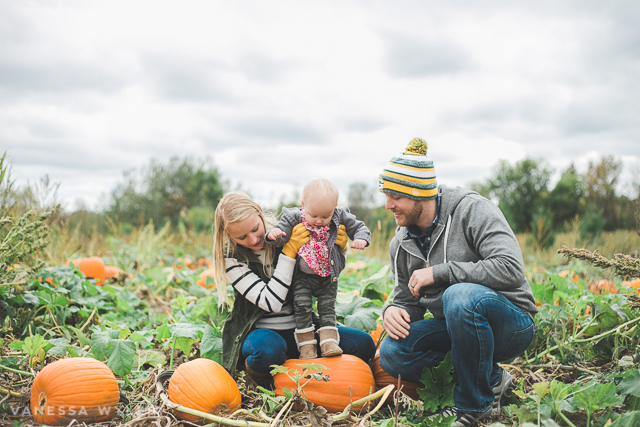 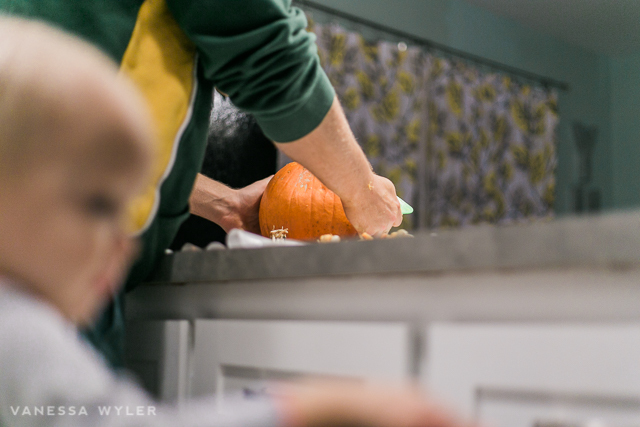 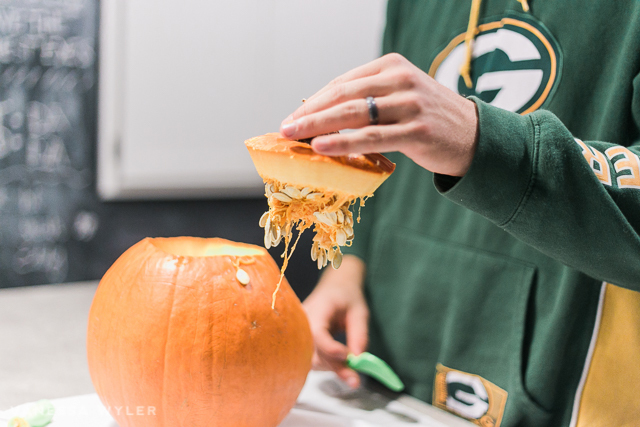 As much as we wish summer could stay, we always have fun doing the typical fall activities. 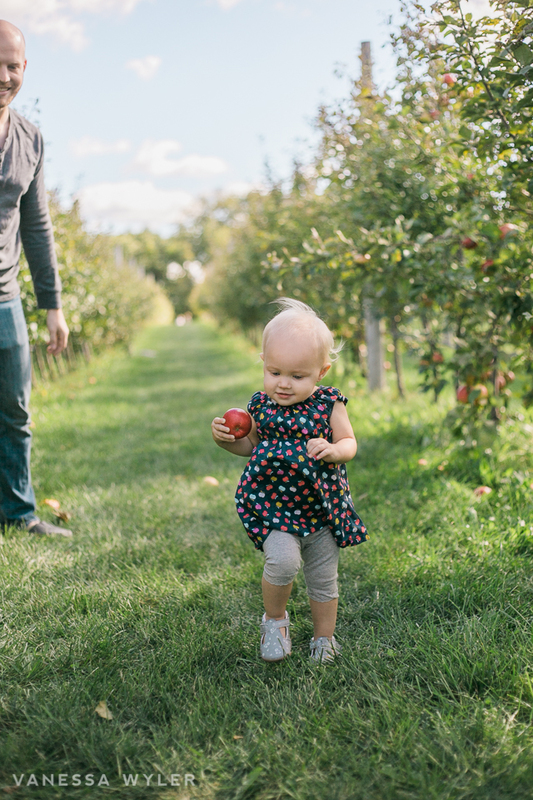 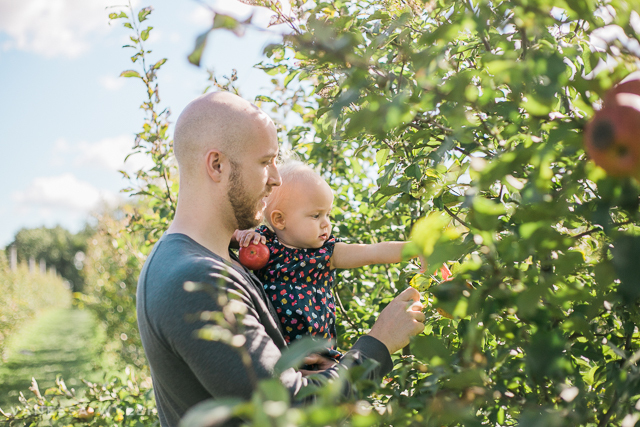 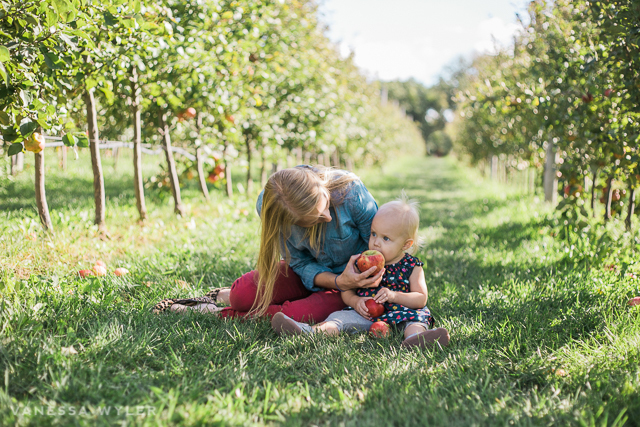 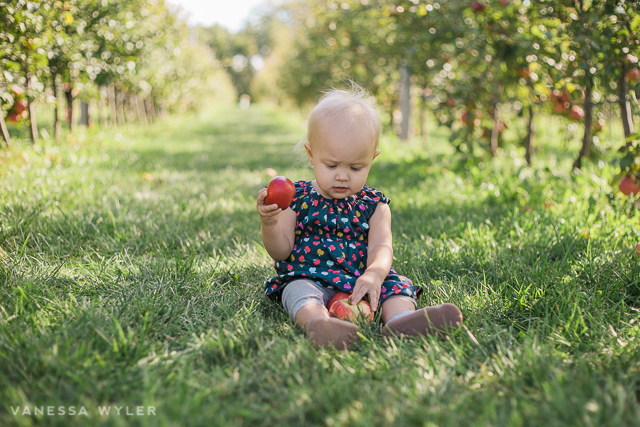 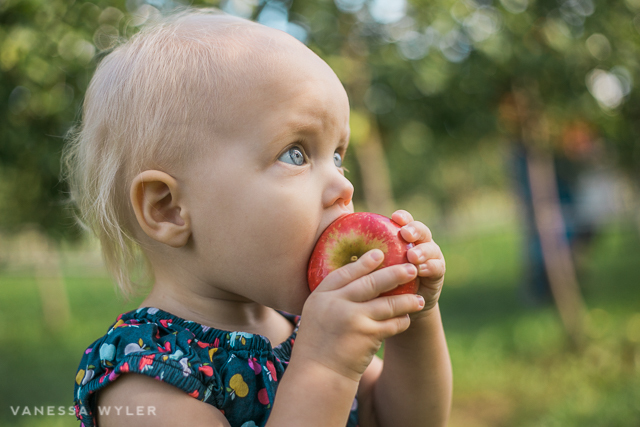 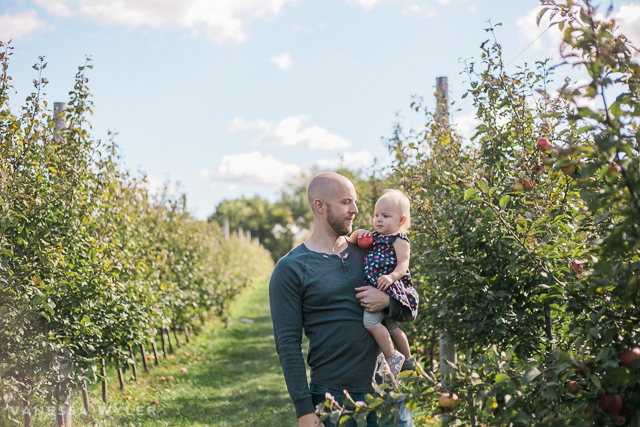 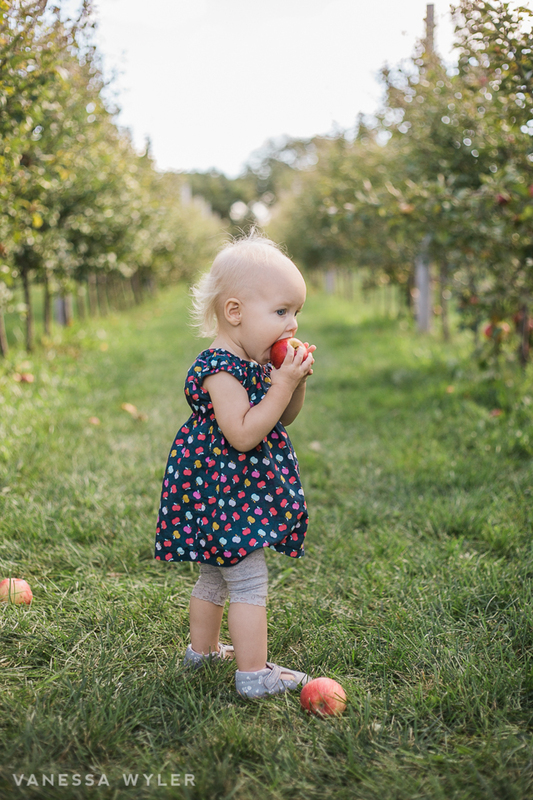 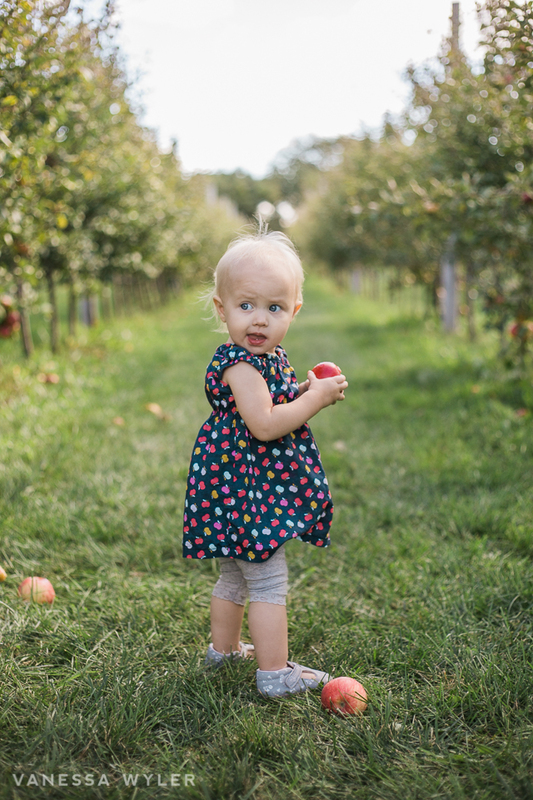 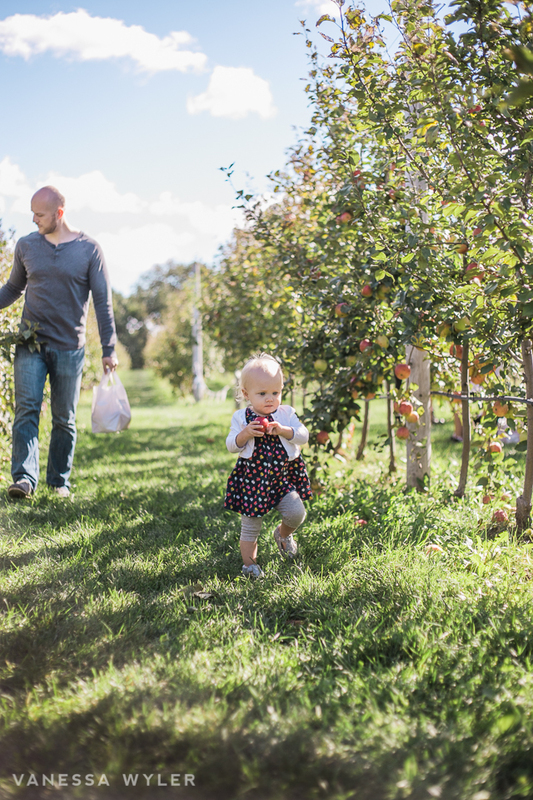 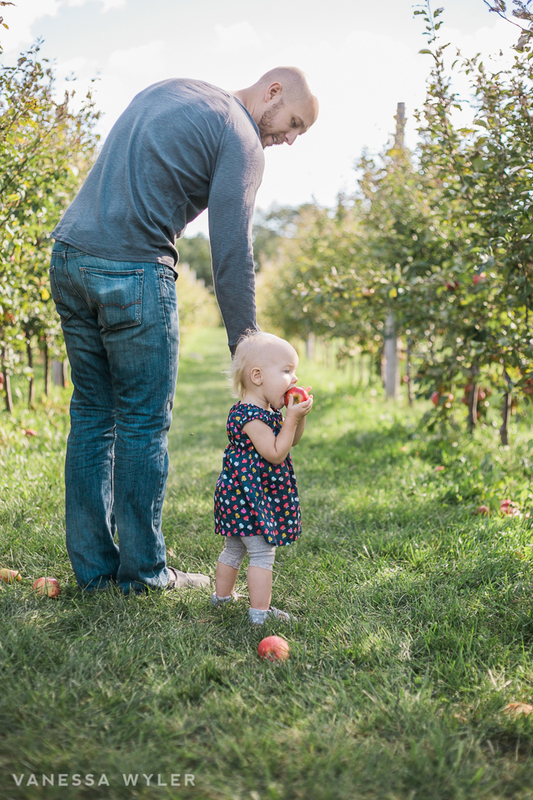 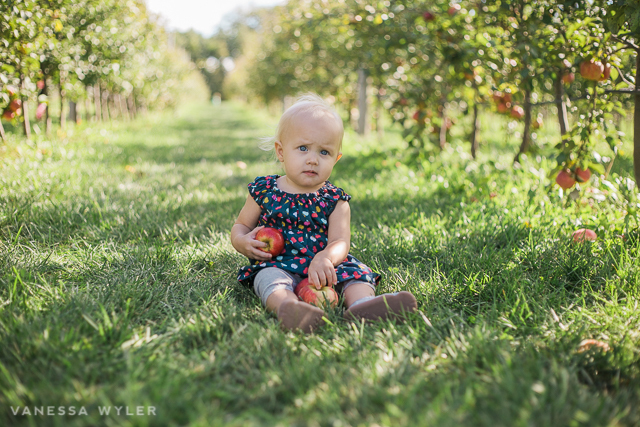 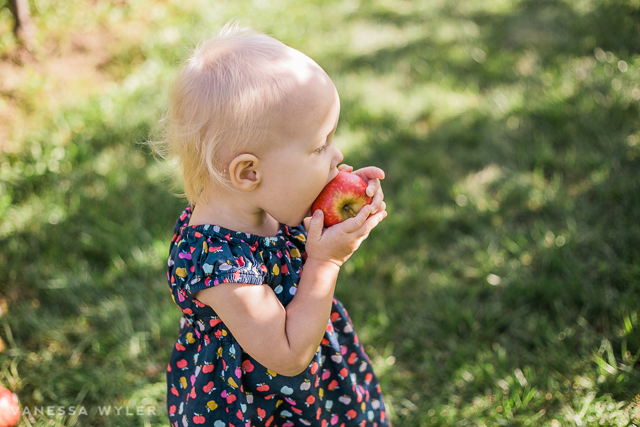 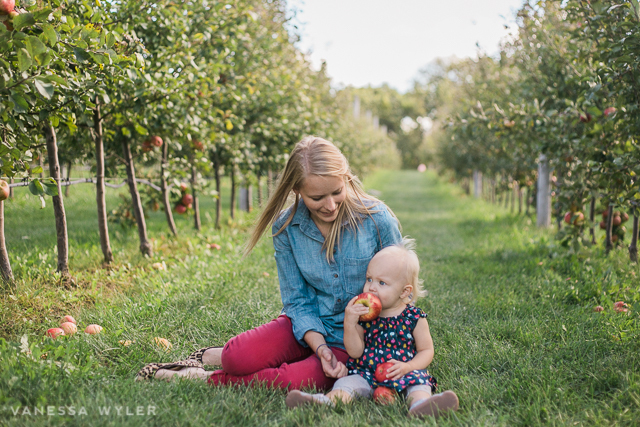 This weekend we headed out to Colgate and picked some apples. 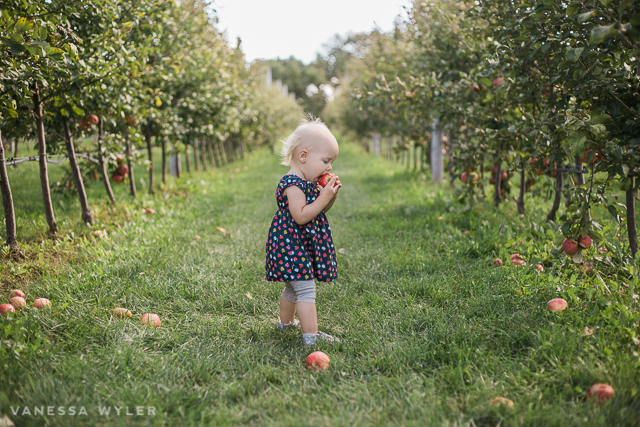 It was exciting watching Em just run around the orchard. 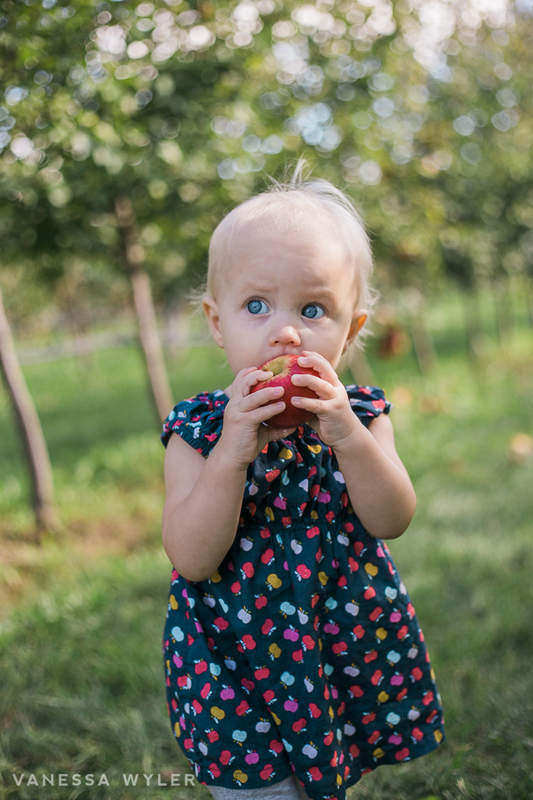 She finally discovered she could eat the apples and it didn’t leave her mouth until we had to go and we took it away, holy tantrum. 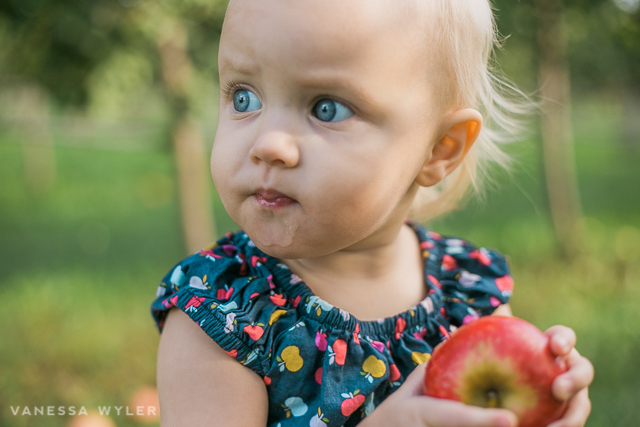 She loves her apples! 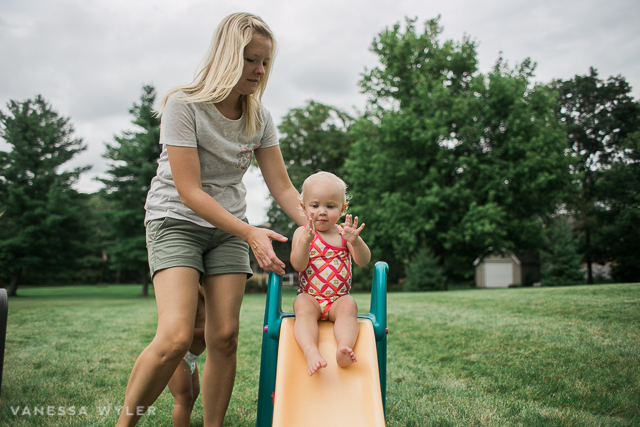 Labor Day typically marks the end of Summer for us, but Drew was already back to school so we partied like it was still summer… corn on the cob, the kiddie pool and hanging outside. 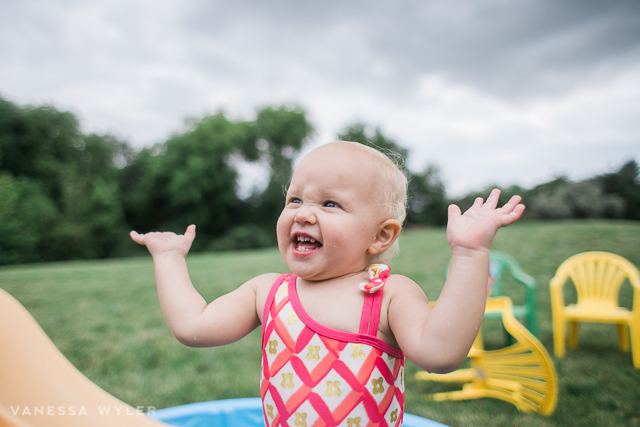 I love these types of days! 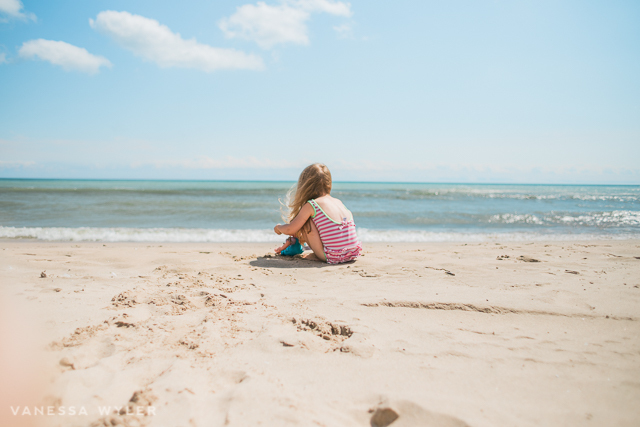 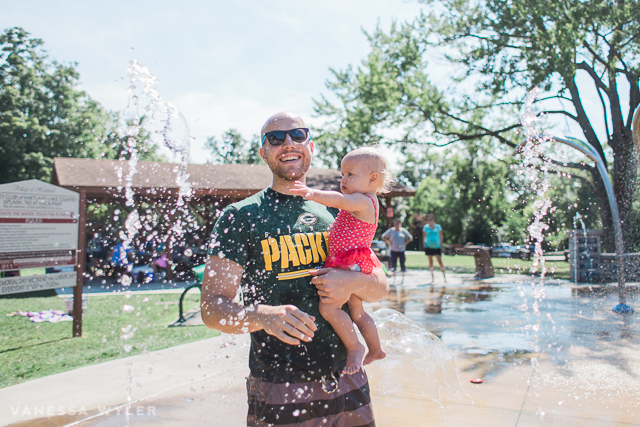 There’s only a few days left of summer, and in Wisconsin those could easily be cut short thanks to cool weather – so we’ve been making it a point to explore our city. 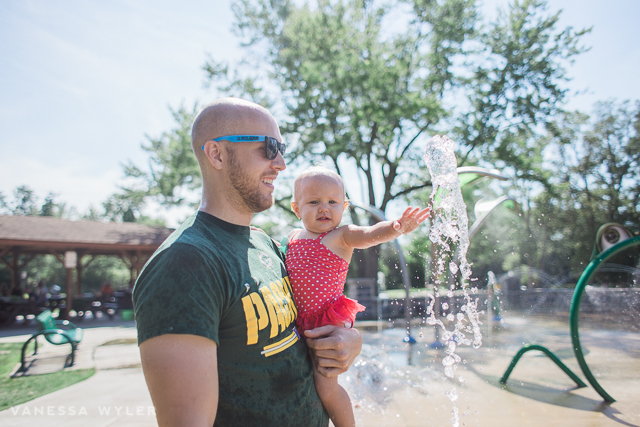 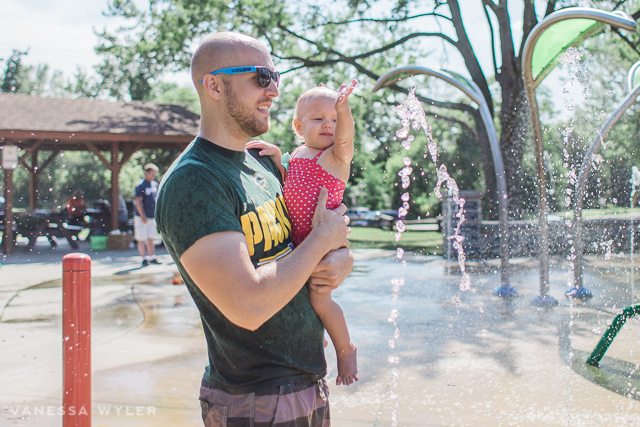 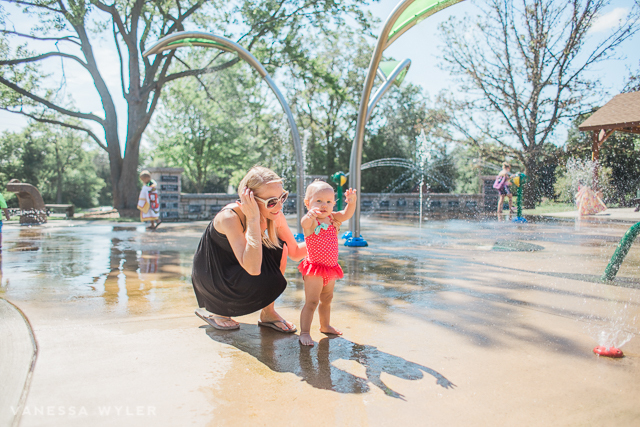 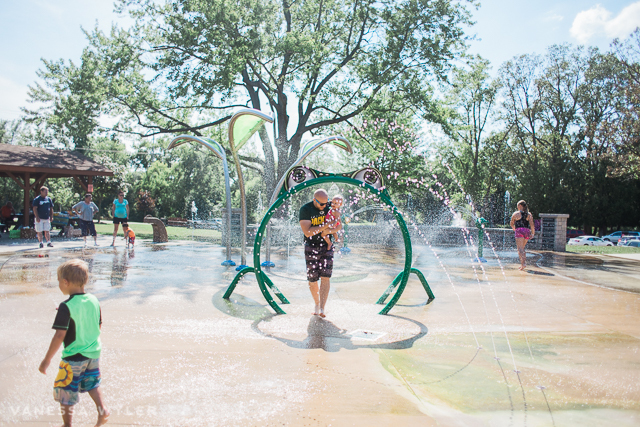 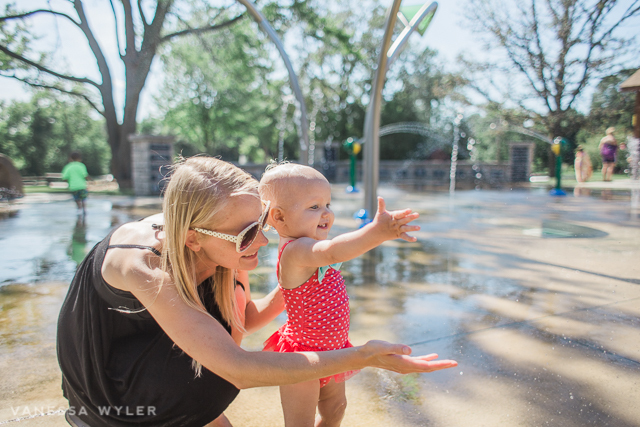 Today was the Lake Country Rotary Splash Pad in Hartland. 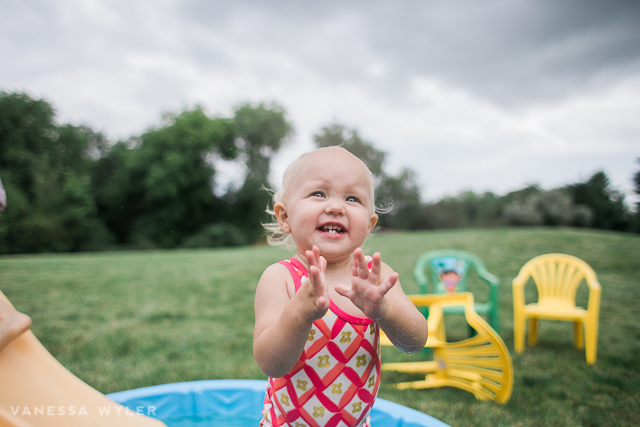 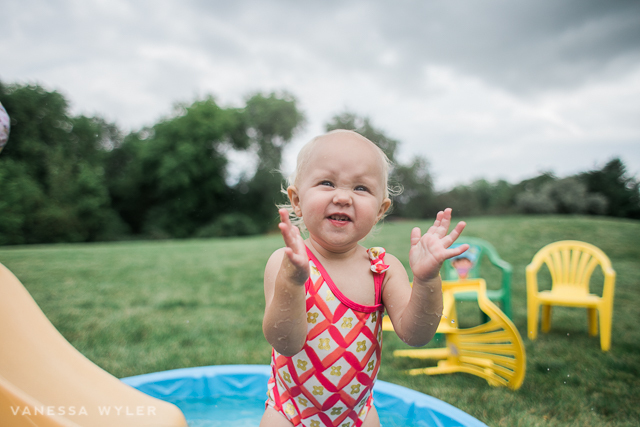 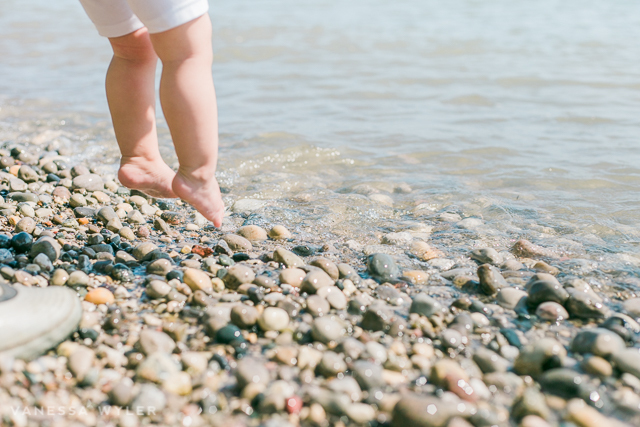 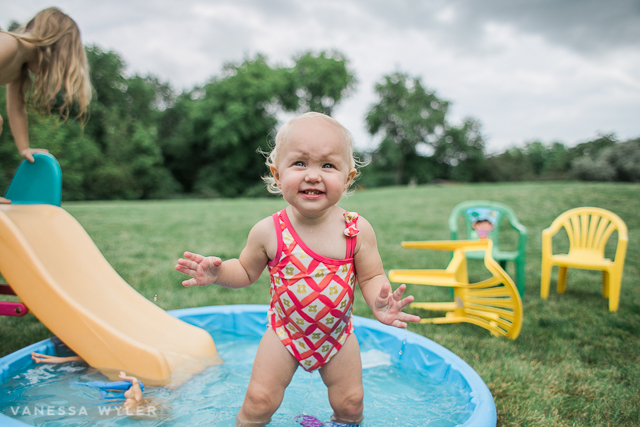 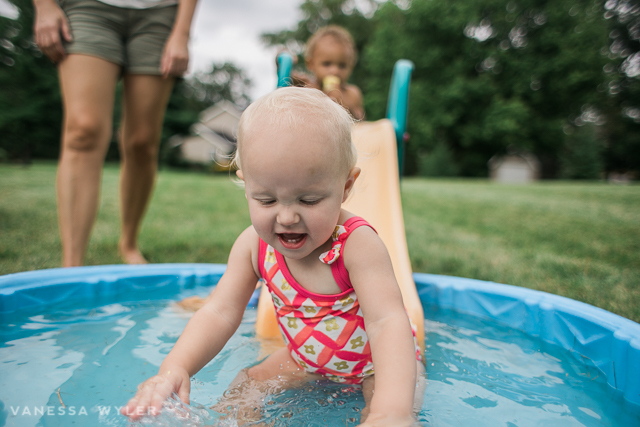 The water was freezing, but Emerald was still a champ and thanks to daddy for running through the cold water for her to have fun. 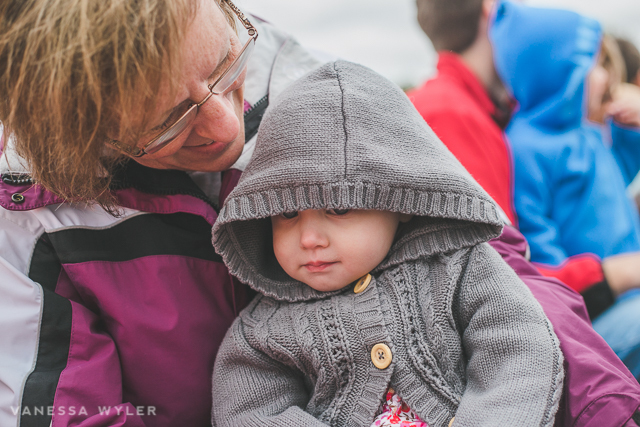 She was shivering at the end, poor girl! 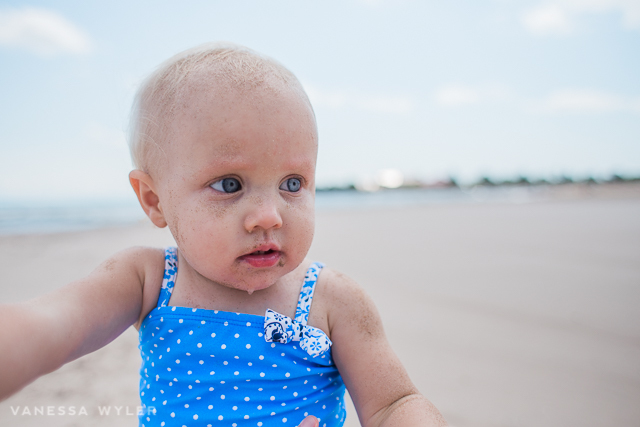 Can’t wait to come back next time when she’s full fledge walking! 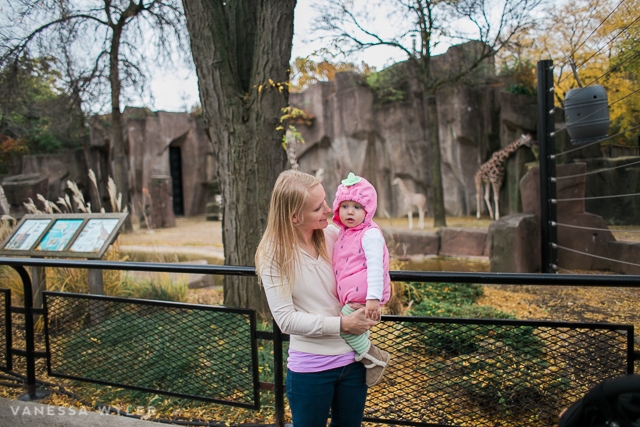 After deciding to both take a vacation day to do something fun, we decided to spend the day exploring different cities and sites around our extended neighborhood. 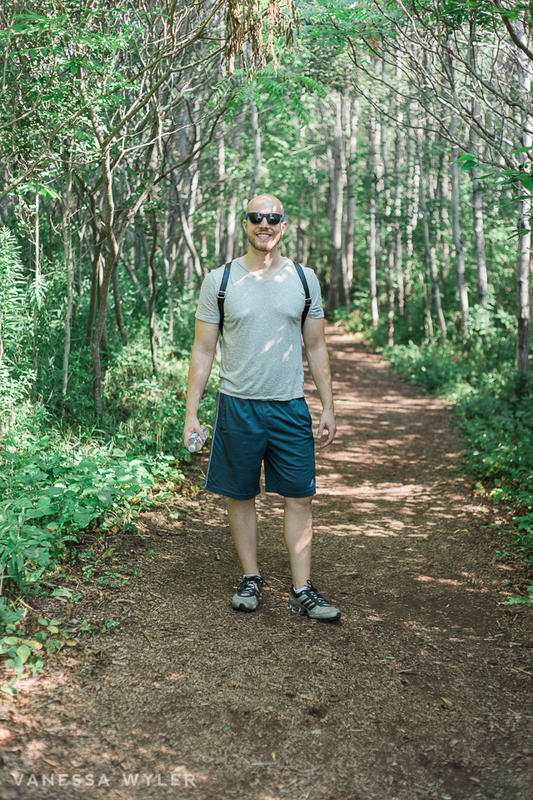 To start we headed to Lion’s Den Gorge in Grafton, WI after hearing Morgan visit there last fall. 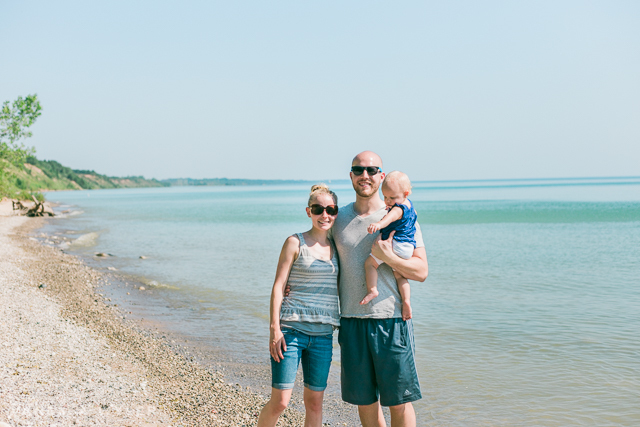 It was about an hour away from our home in Pewaukee, but it was as if we transported to Hawaii (kind of, minus some palm trees) for a moment. 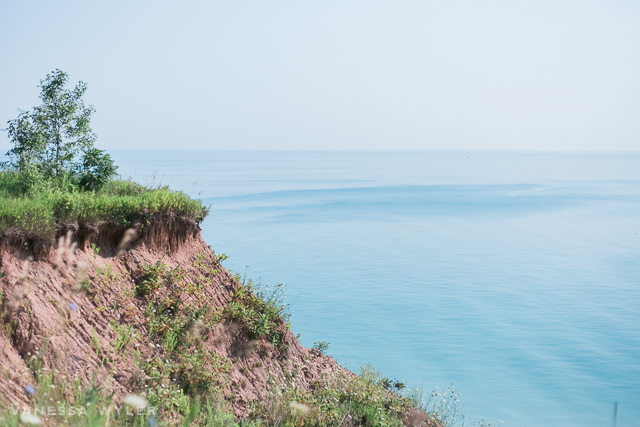 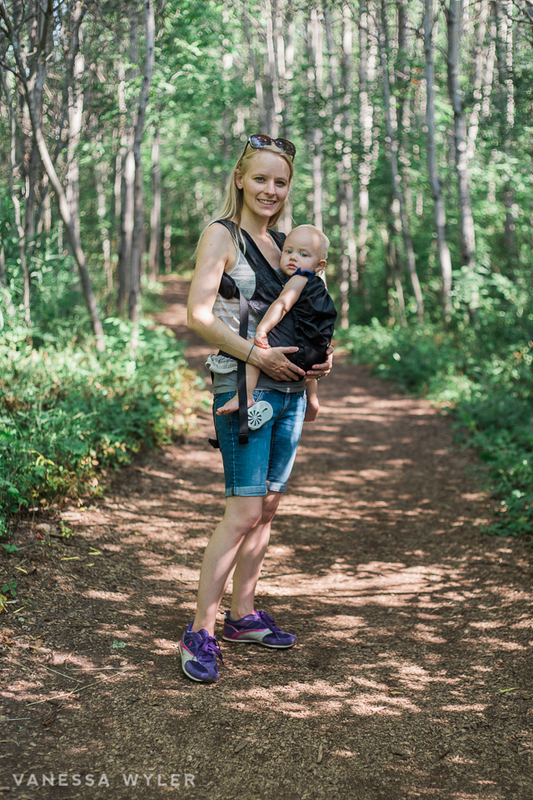 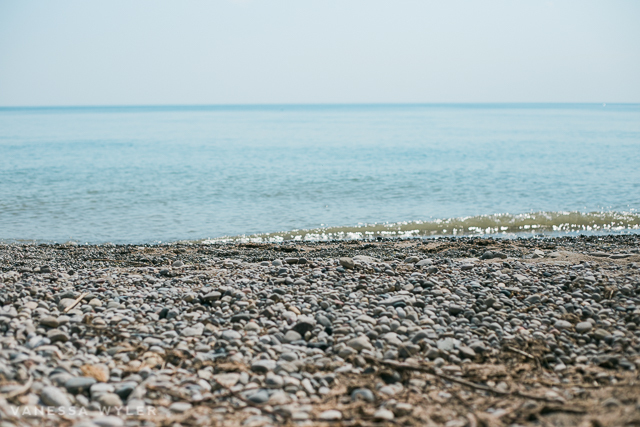 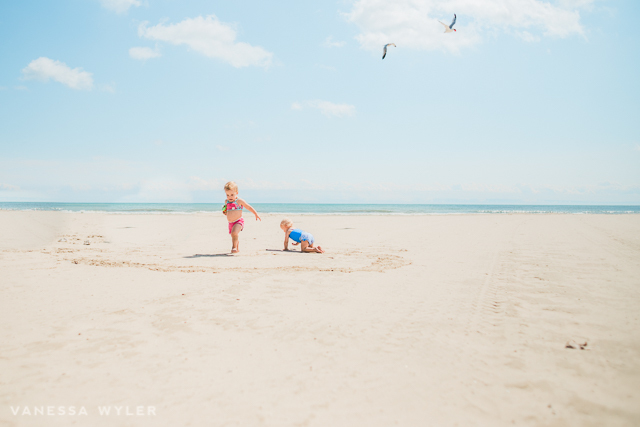 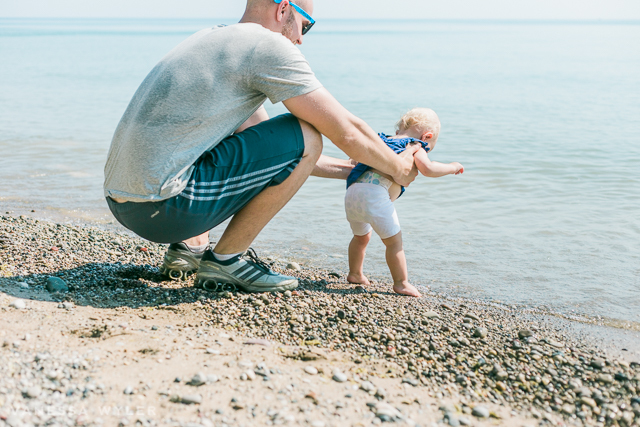 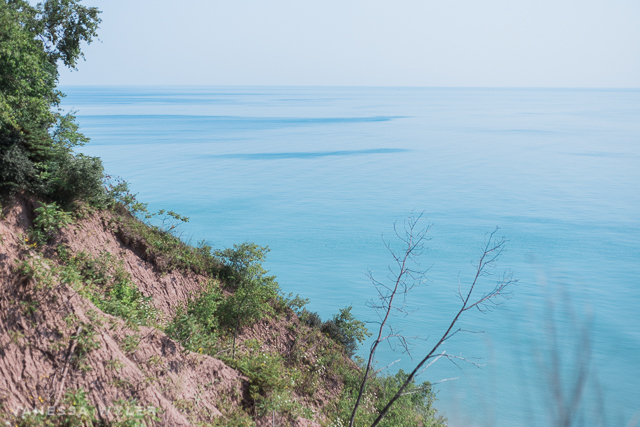 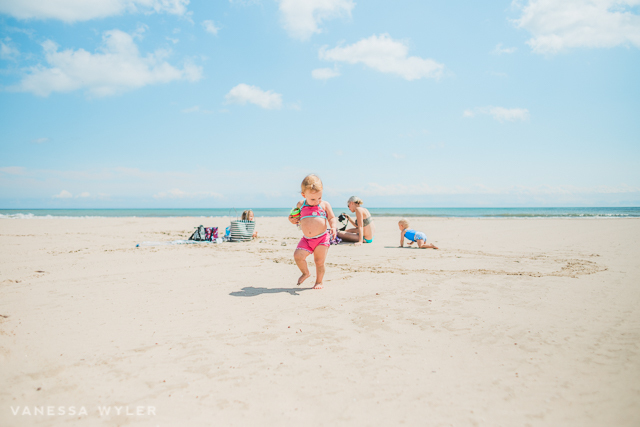 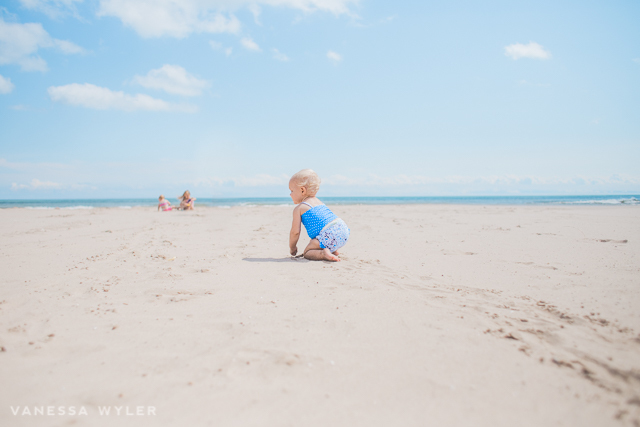 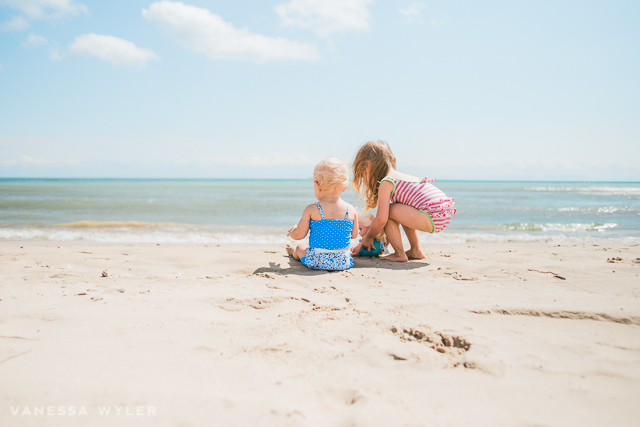 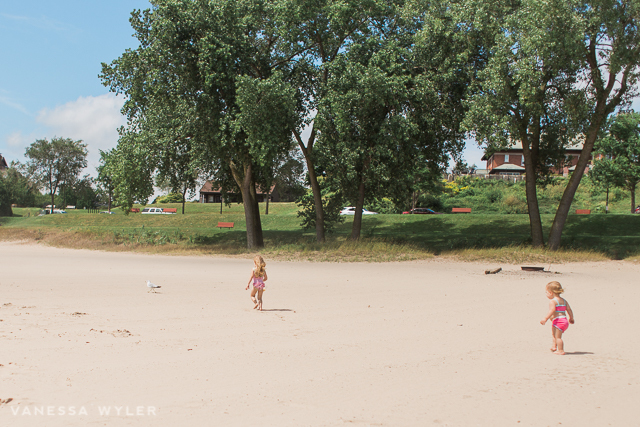 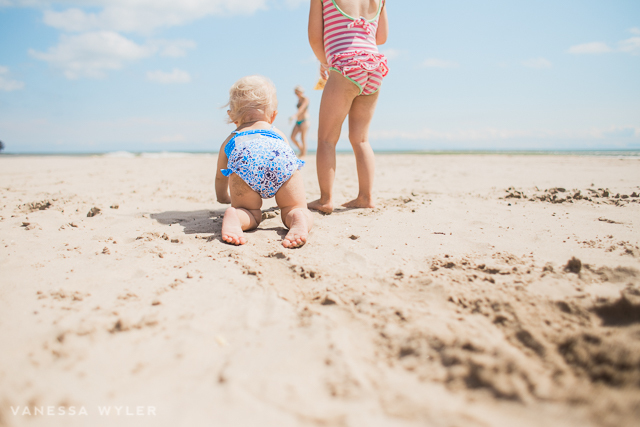 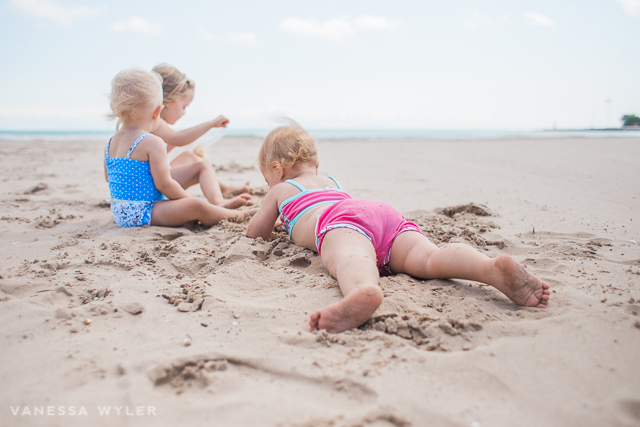 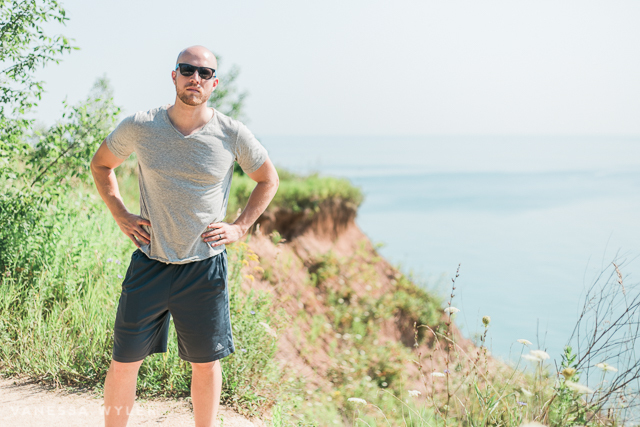 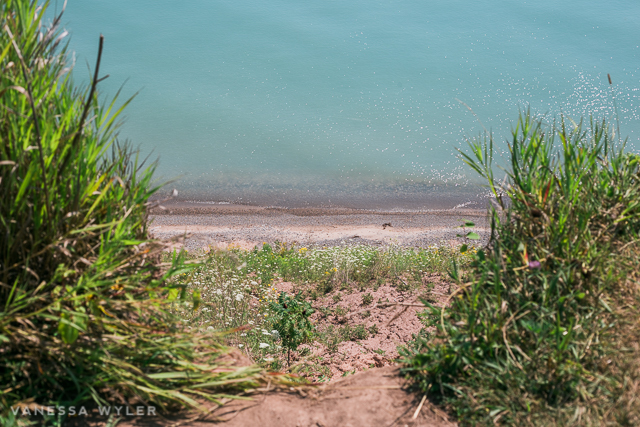 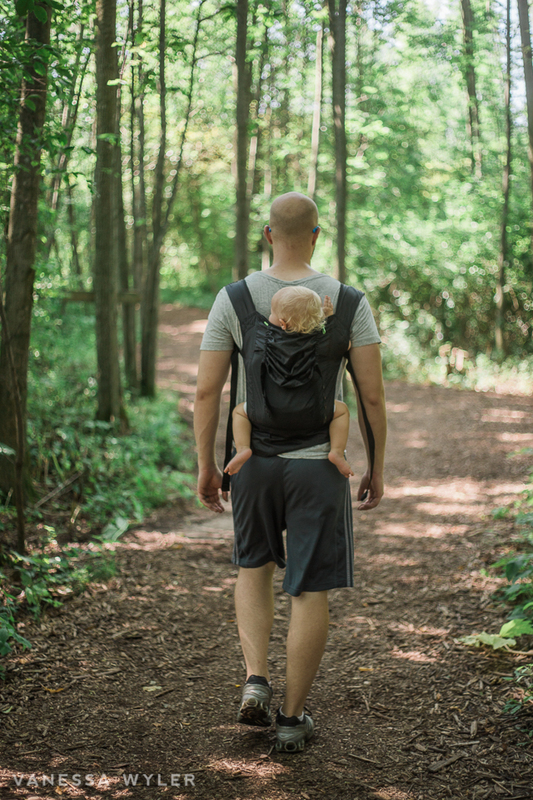 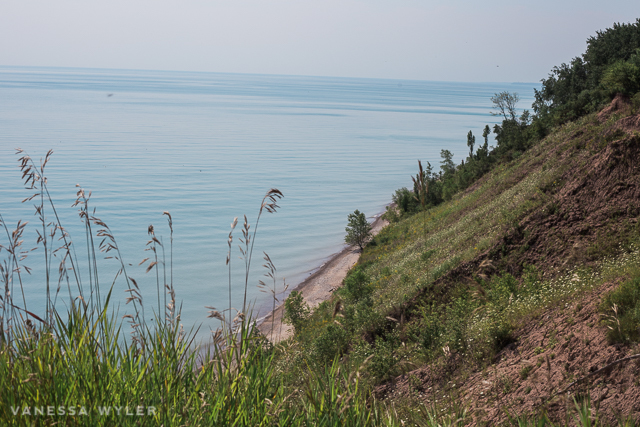 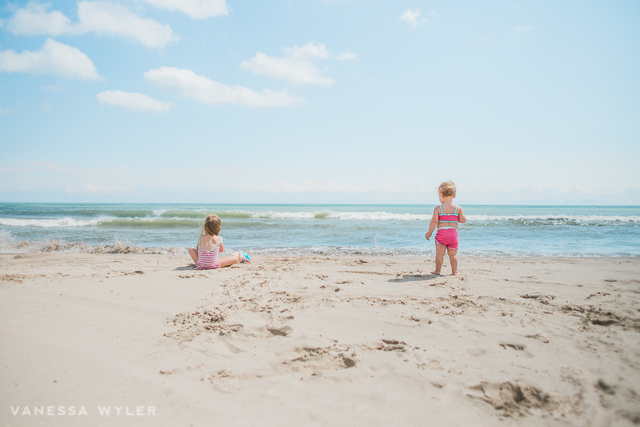 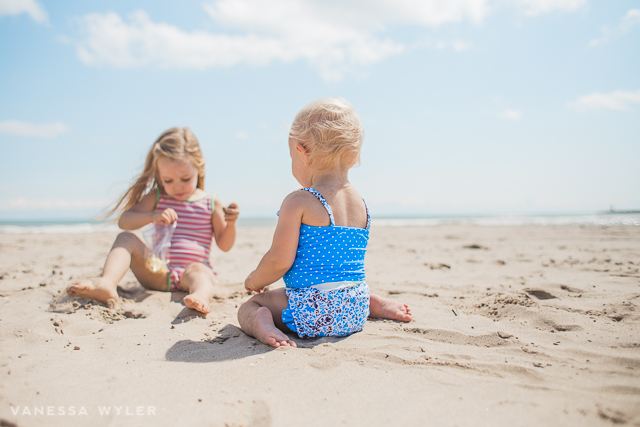 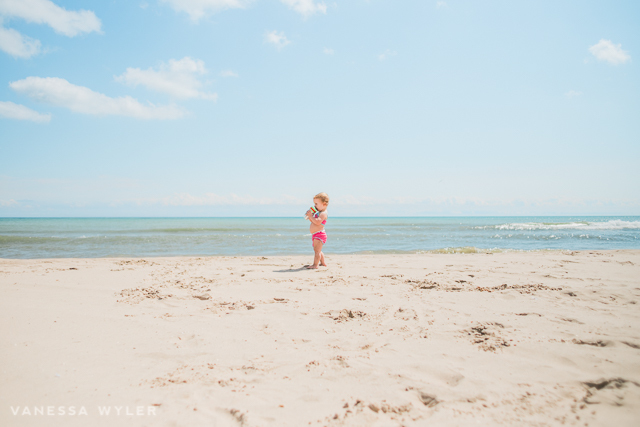 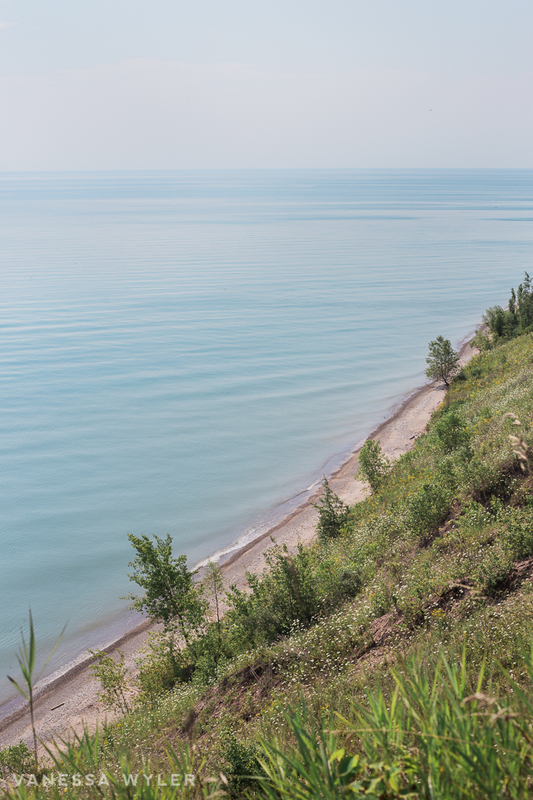 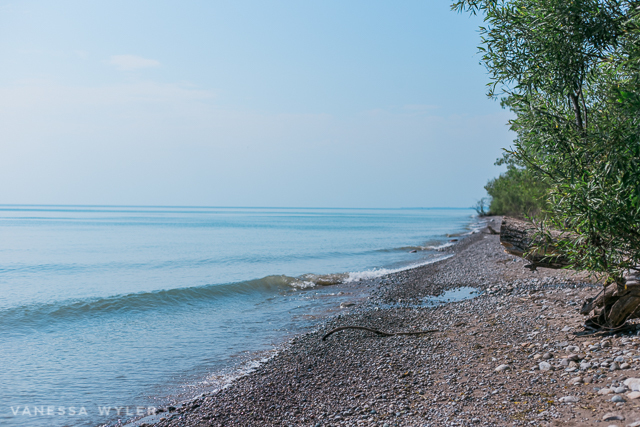 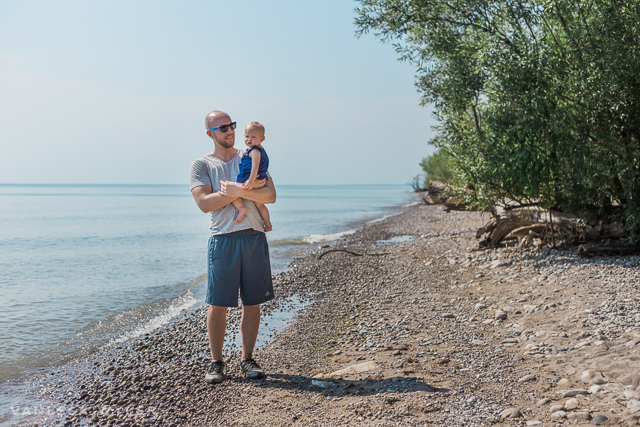 It’s a quick hike through the park and down to the beach of Lake Michigan. 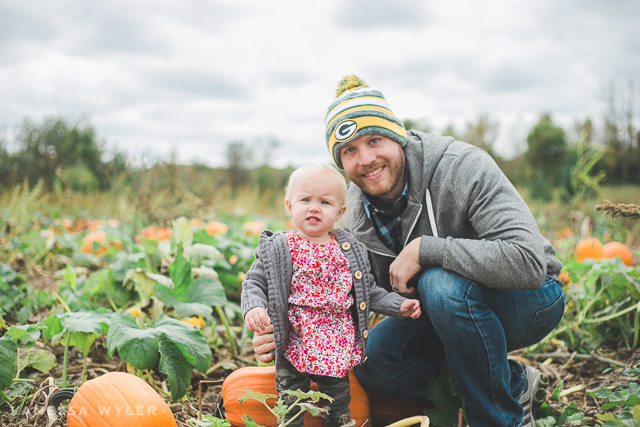 Next we drove thru Cedarburg to see what was all there, but thanks to a sleeping Emerald, we just took it all in from our windows. 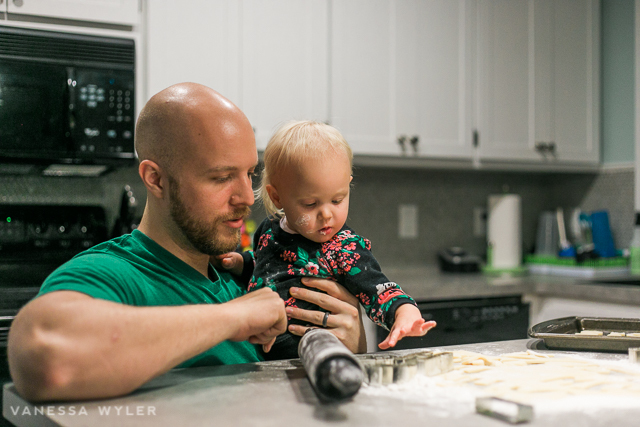 We then dropped off Emerald at my parents, to enjoy a little date night. 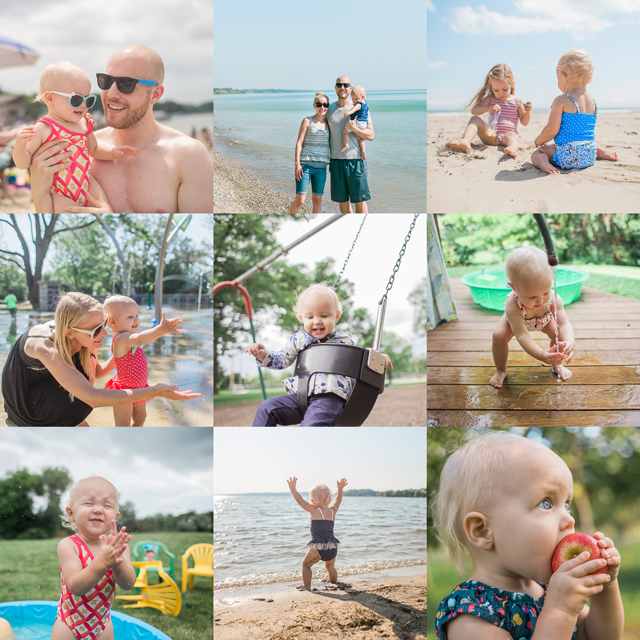 We hit up some mini golf (you can guess who won), then ate dinner and explored downtown Delafield by walking around the city and by Lake Nagawicka with some ice cream.